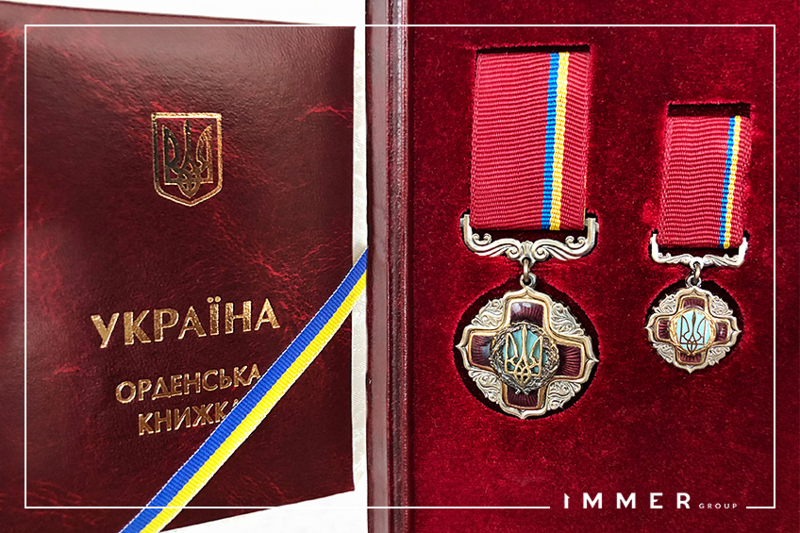 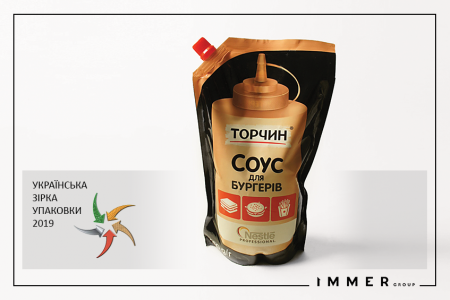 Doypack packaging from IMMER Group is the winner of the contest "Ukrainian Star of Packaging – 2019"
Doypack packaging for ТМ «ТОРЧИН» and Nestlé Professional from IMMER Group is the winner of the contest "Ukrainian Star of Packaging – 2019" in the category "Packaging for Food". 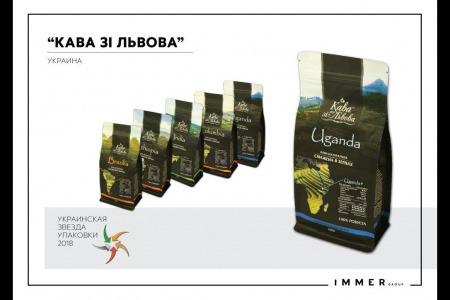 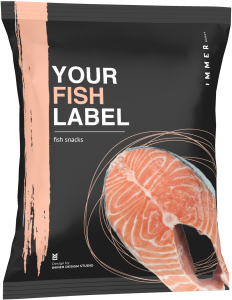 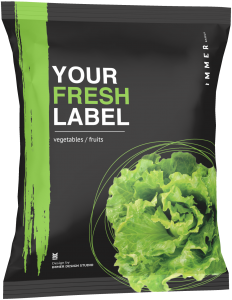 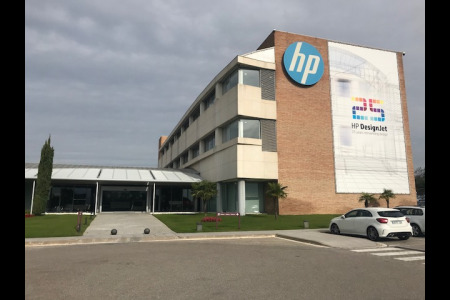 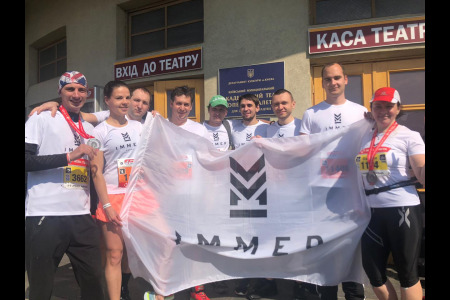 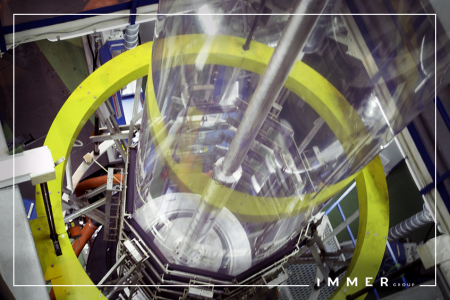 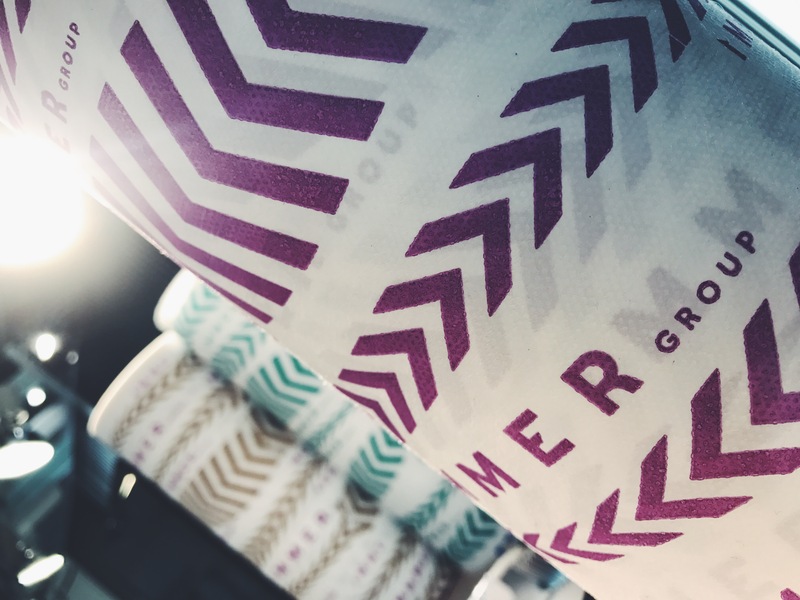 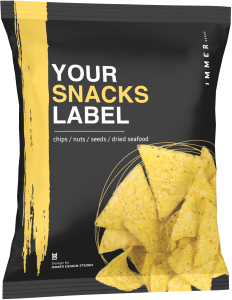 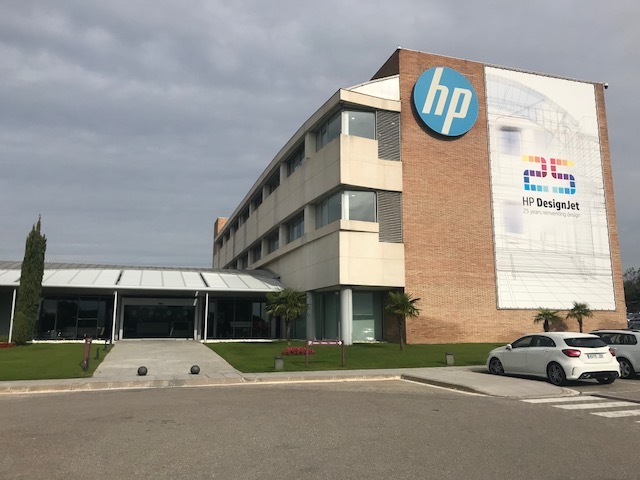 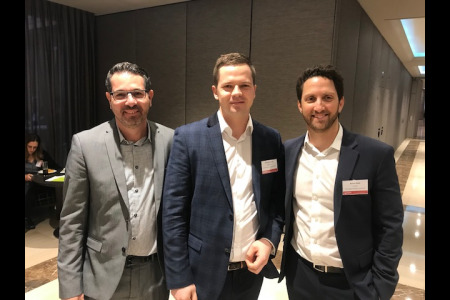 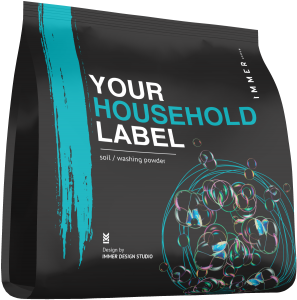 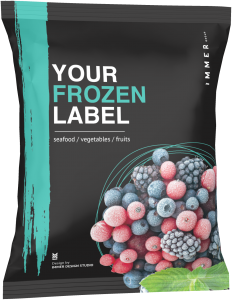 IMMER Group, the largest Ukrainian manufacturer of flexible packaging materials, films and labels, launched a project of complex digital transformation. 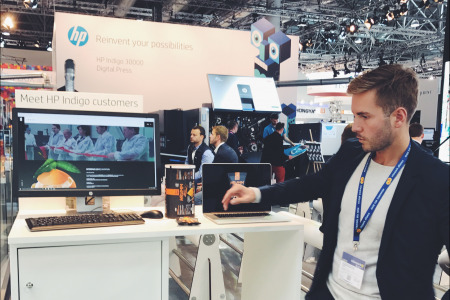 Among strategic project partners are Lean Projects, a Swiss company, which specializes in developing industrial solutions for printing and packaging, and OntargIT – an international consulting company, Microsoft Gold Certified Partner with ERP and Cloud competencies. 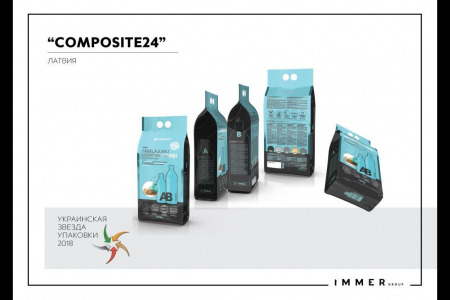 IMMER Group was the first in the Ukrainian and Latvian markets to launch the manufacturing of biodegradable packaging materials. 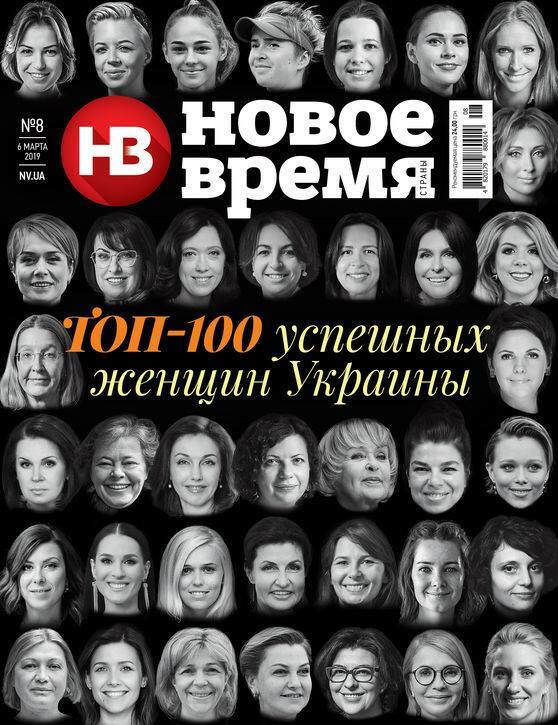 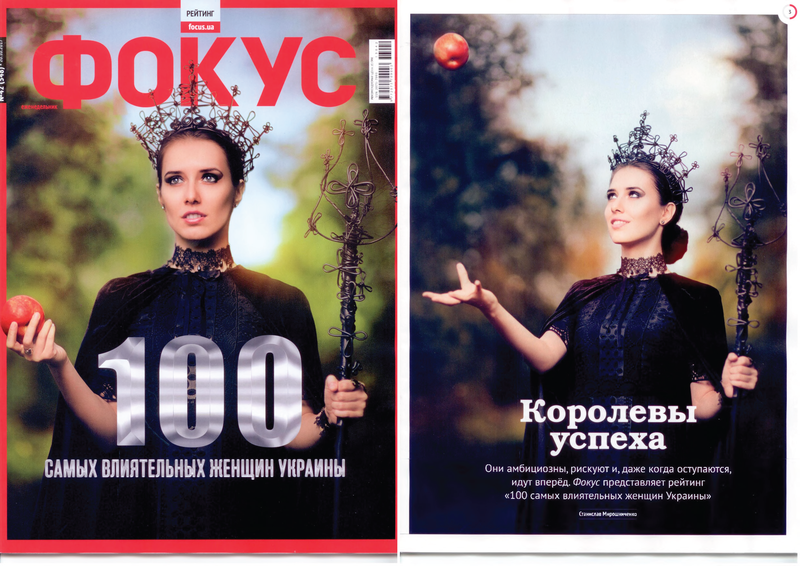 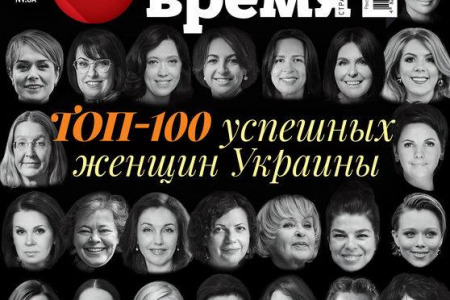 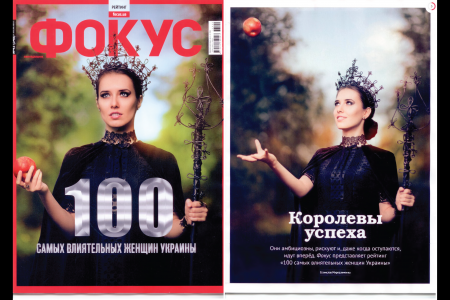 The president of IMMER Group Irina Mirochnik is in the TOP-100 of the most successful women of Ukraine according to the 'Новое Время' (New Time) magazine. 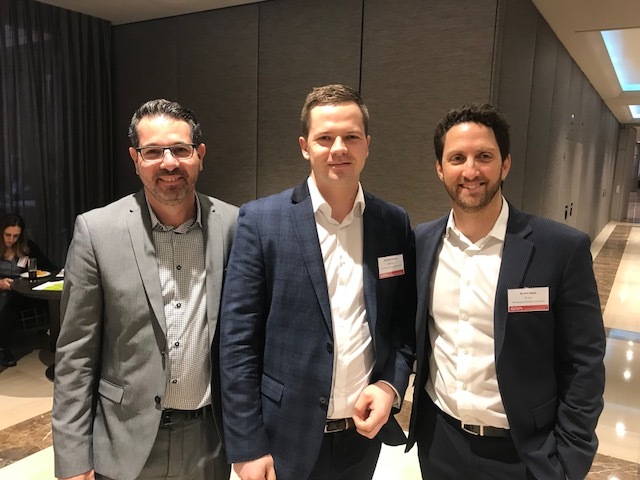 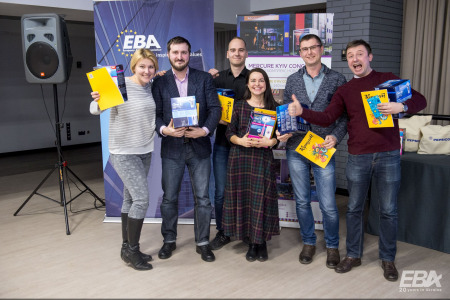 IMMER Group Team wins the first EBA IQ Challenge: Teams Race – an intellectual business game. 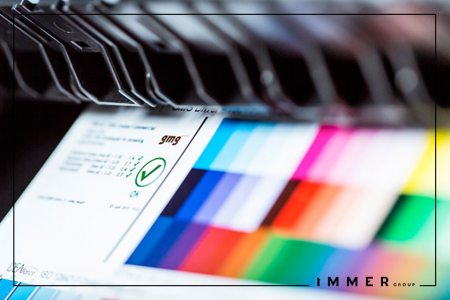 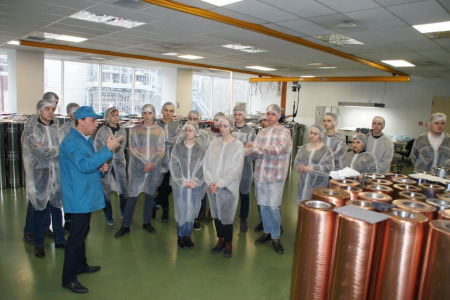 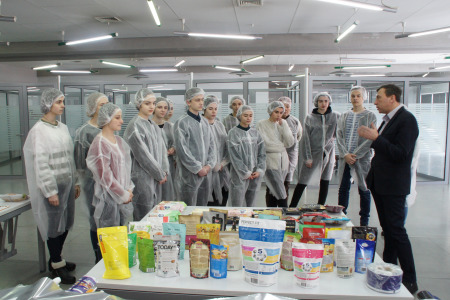 The IMMER Group laboratory in Kyiv, certified by SE "Ukrmetrteststandard", provides expert examination services related to finished packaging and packaging materials. 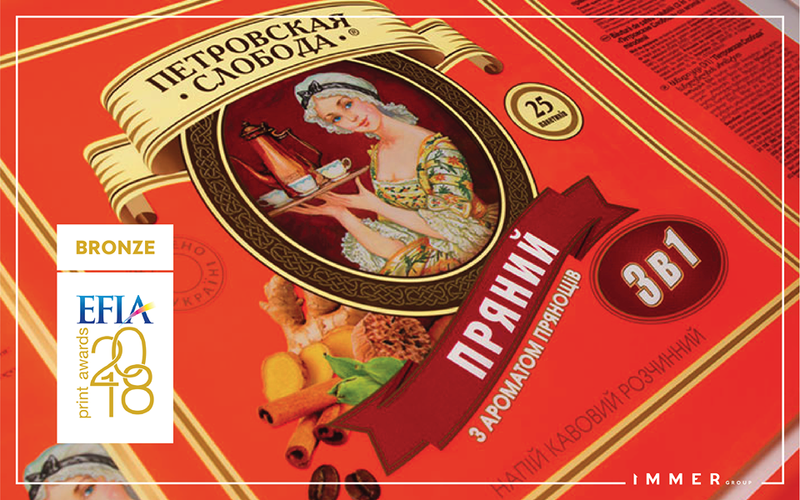 We would like to draw your attention to the changes in the legislation of Ukraine concerning labeling of food packaging. 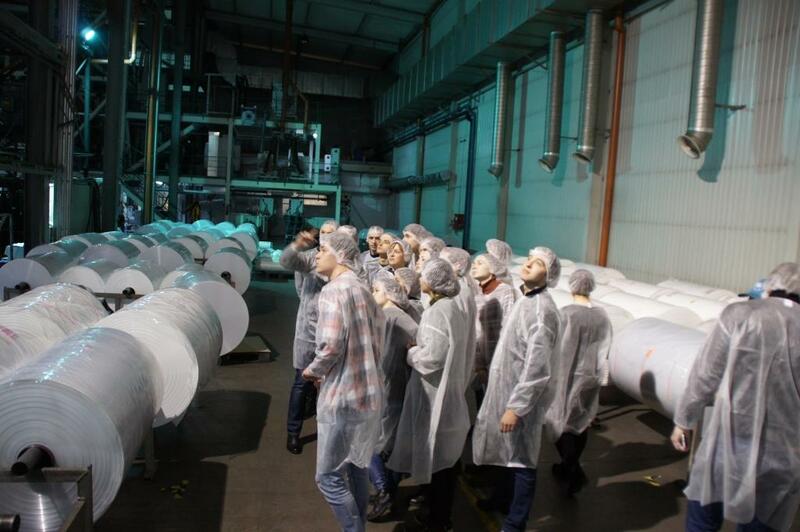 Having a direct contract with a large logistics operator will bring the company more than 20% of the annual savings on transportation services of raw materials. 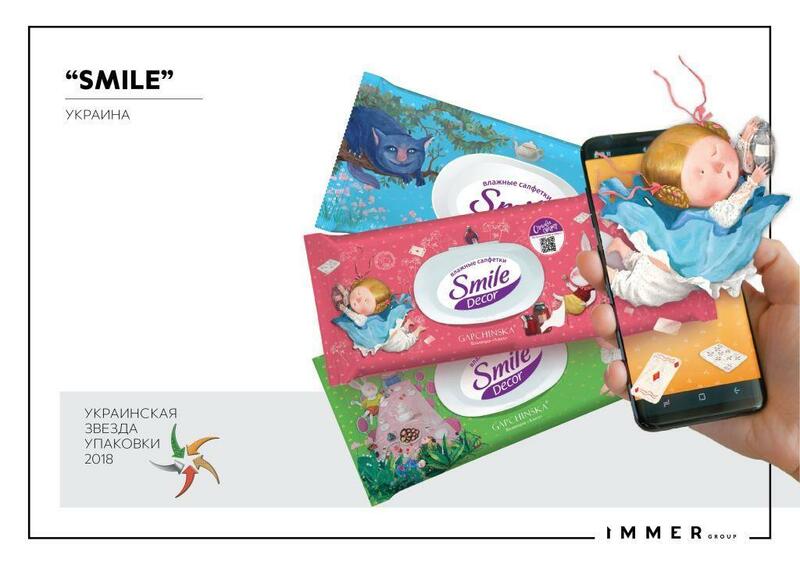 Please be informed about the temporary unavailability of IMMER Group line contact phones in Kyiv due to maintenance work of municipal service. Irina Mirochnik, the President of IMMER Group, has been re-elected as a member of the European Rotogravure Association (ERA). 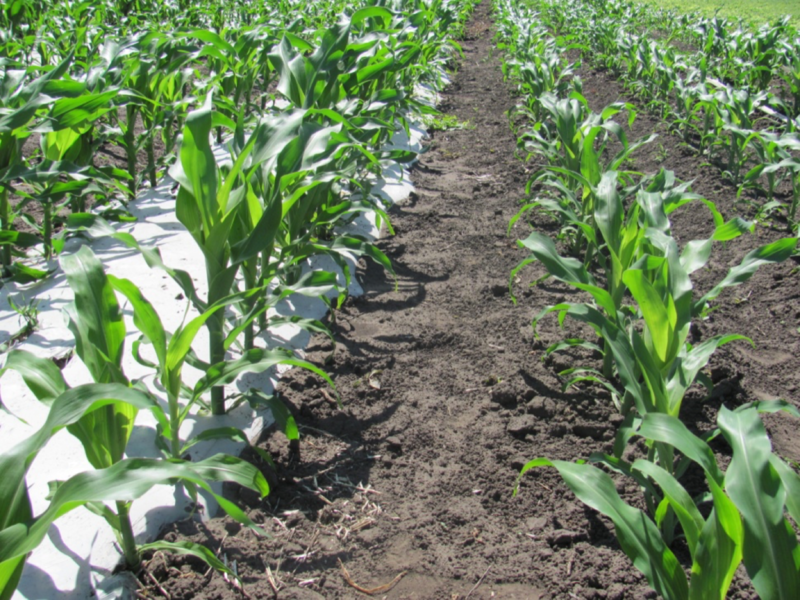 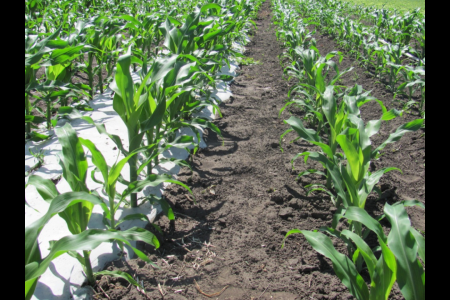 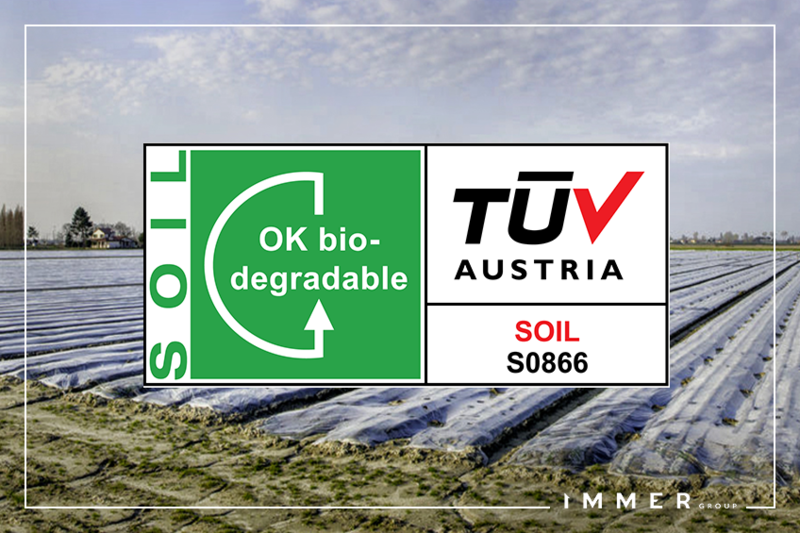 Biodegradable films from IMMER Ukrplastic received ‘OK biodegradable SOIL’ certification from TÜV AUSTRIA Belgium NV, the world leader in certification of bioplastics. 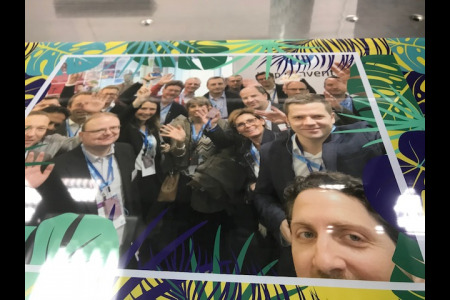 Completely new level of IMMER Group flexographic printing was confirmed at Print Awards 2018 on March 14, 2018, the prestigious competition of the European Flexographic Industrial Association (EFIA). 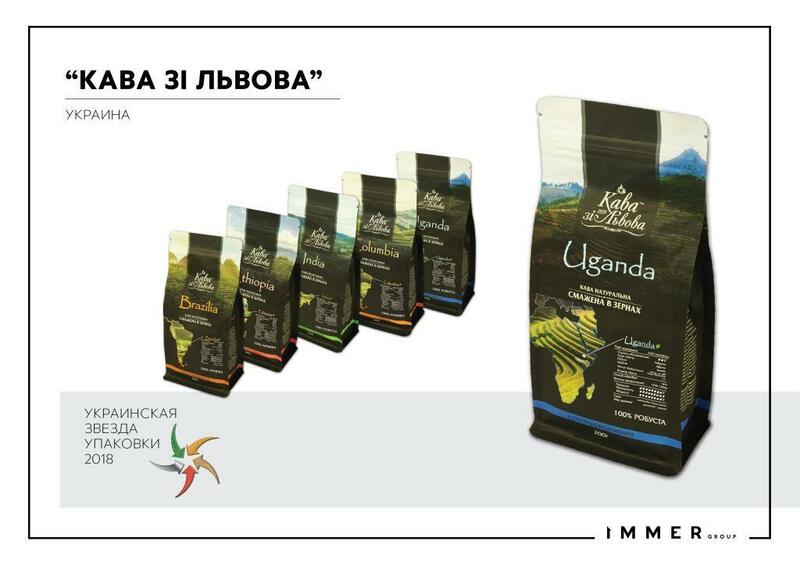 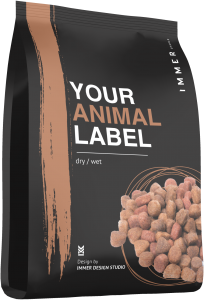 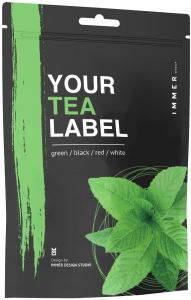 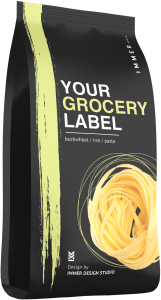 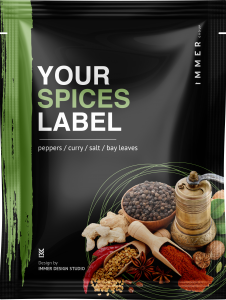 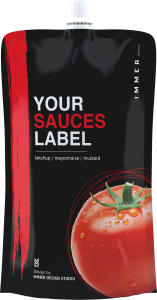 The packaging, produced by IMMER Ukrplastic, got a bronze award in the category of Flexographic Printing on Film. On Tuesday, March 20, 2018, Natalia Kulik, the Director of the IMMER Group R&D Center, made a presentation at the National University of Food Technology (NUFT) seminar, where she told the representatives of the confectionery industry about the innovative packaging solutions. 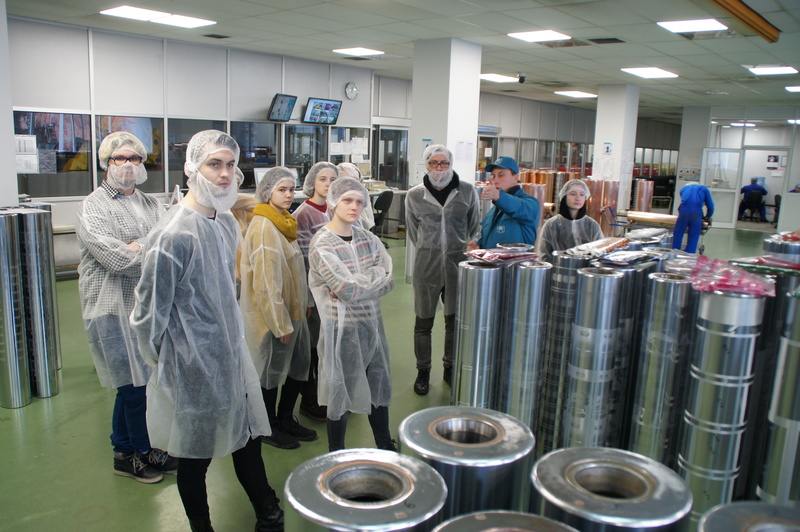 Future designers, the second-year students of the Graphic Design Faculty of the National Academy of Fine Arts and Architecture, have been shown every step in developing and implementing graphic design for flexible packaging. 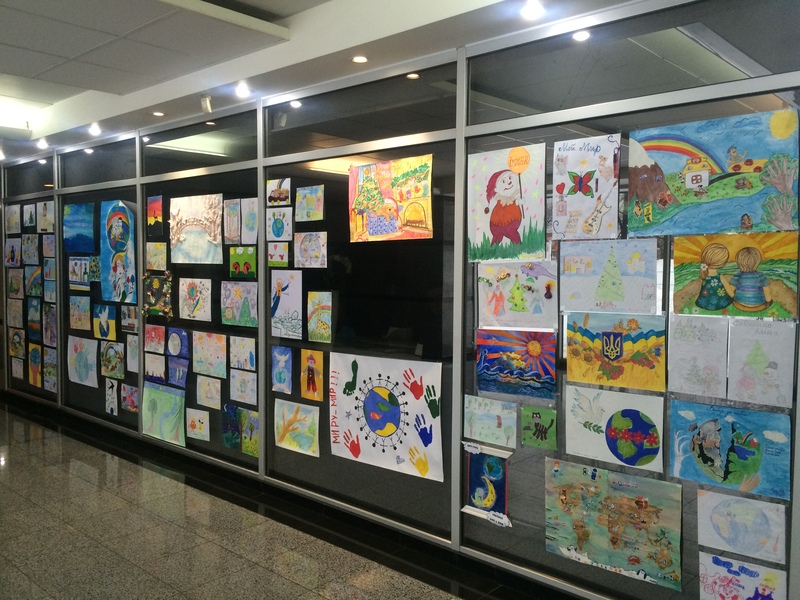 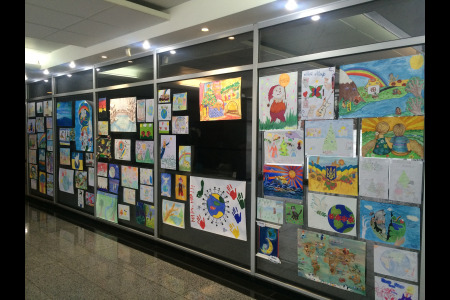 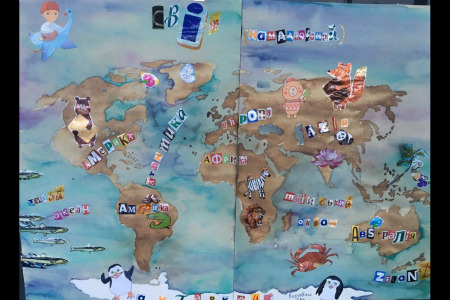 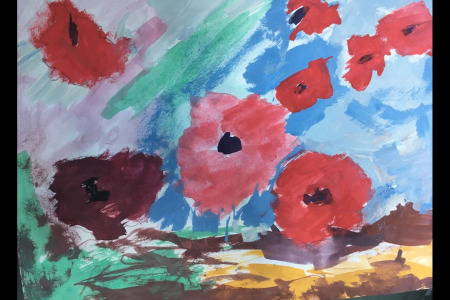 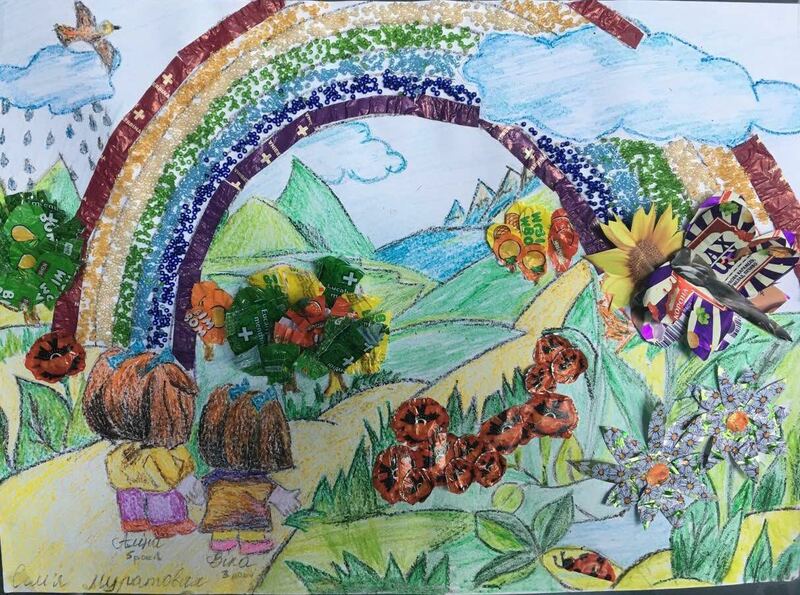 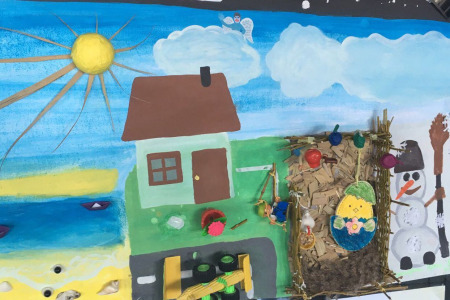 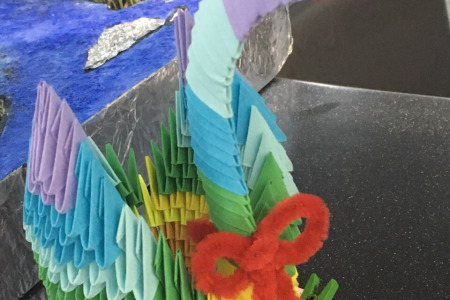 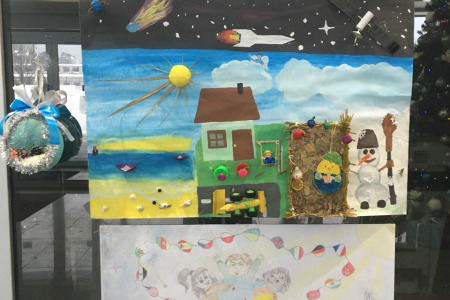 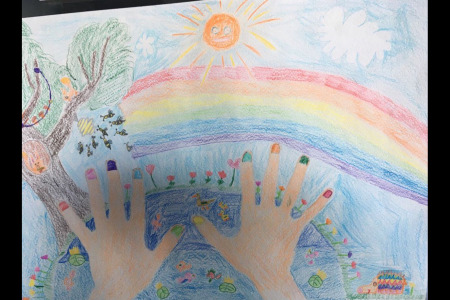 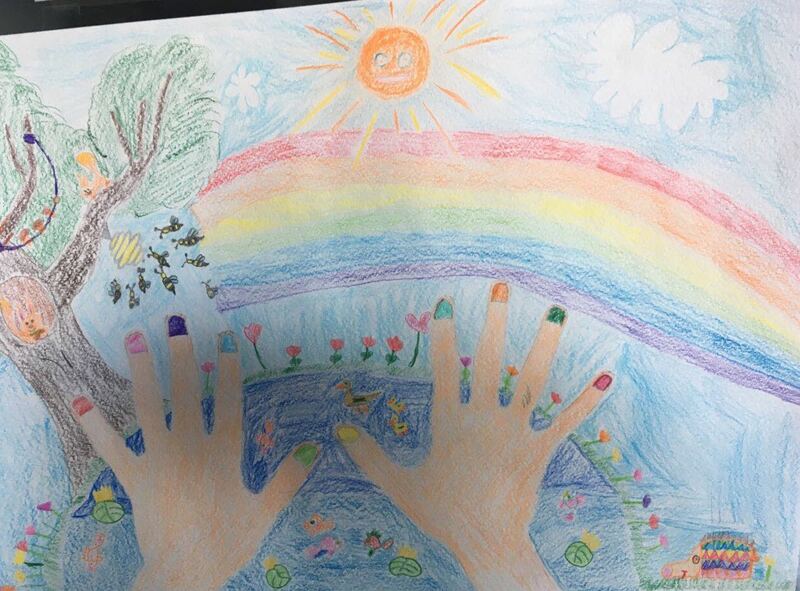 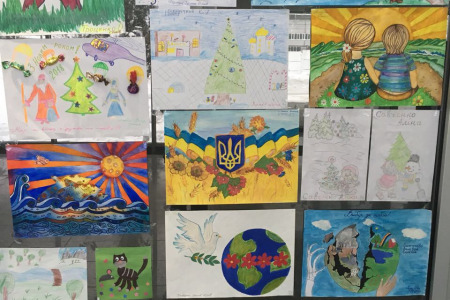 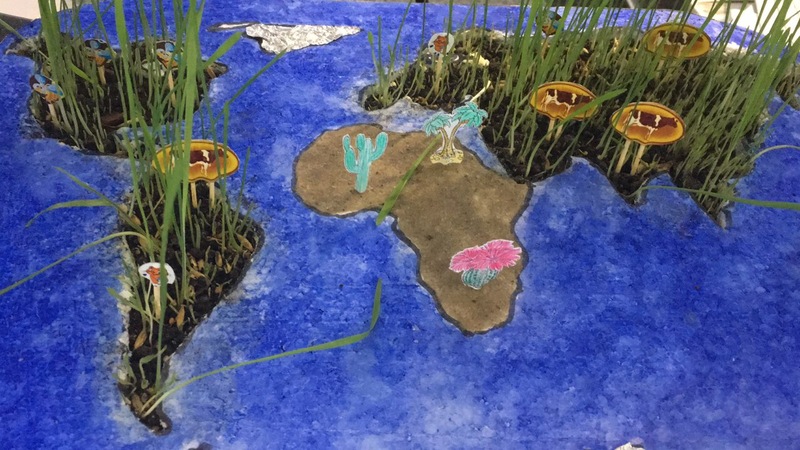 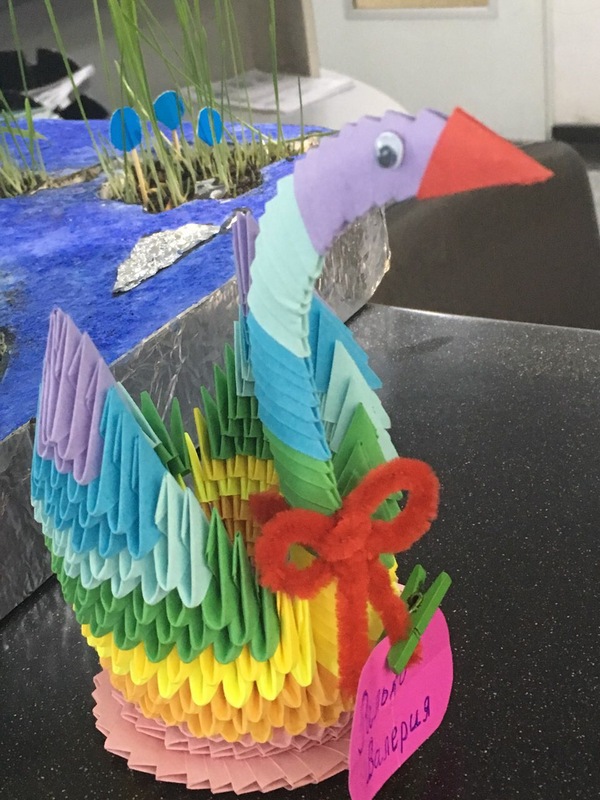 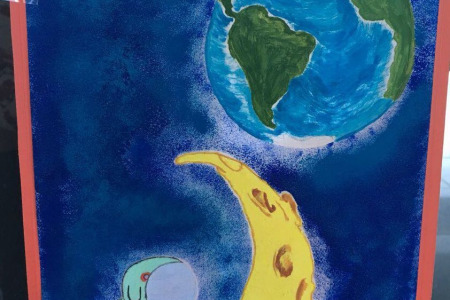 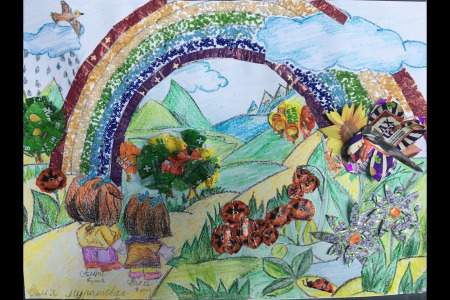 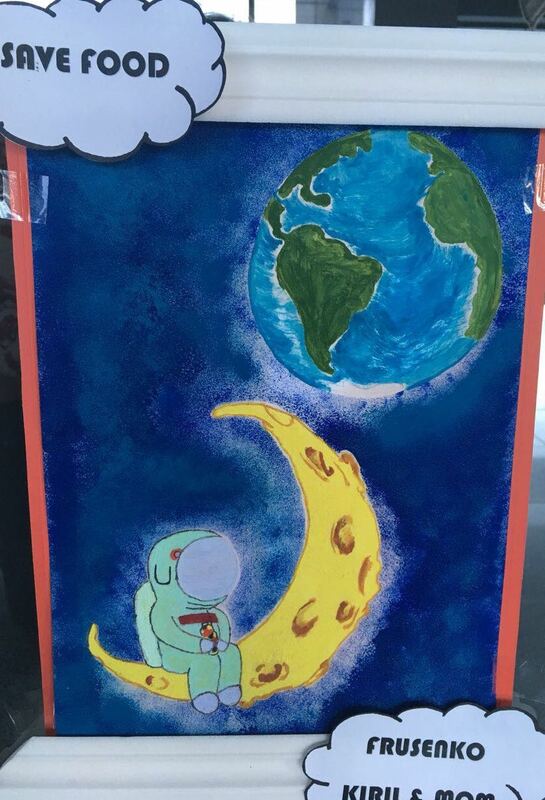 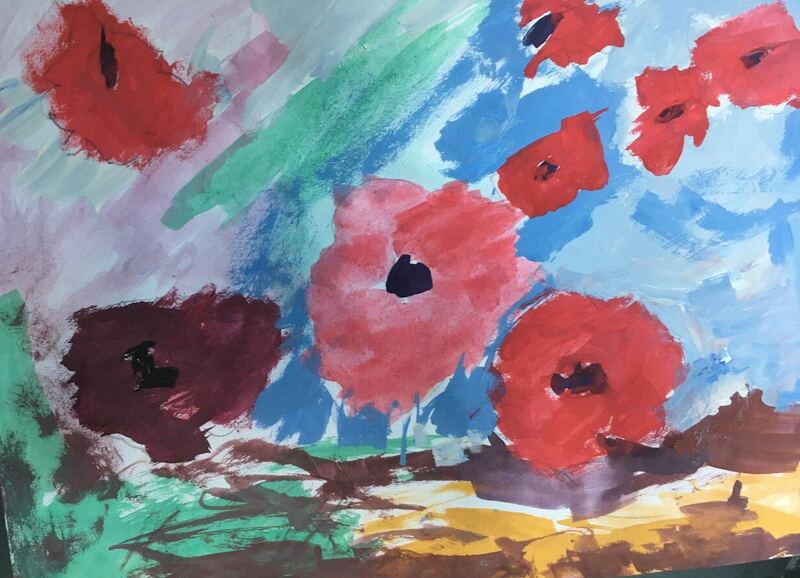 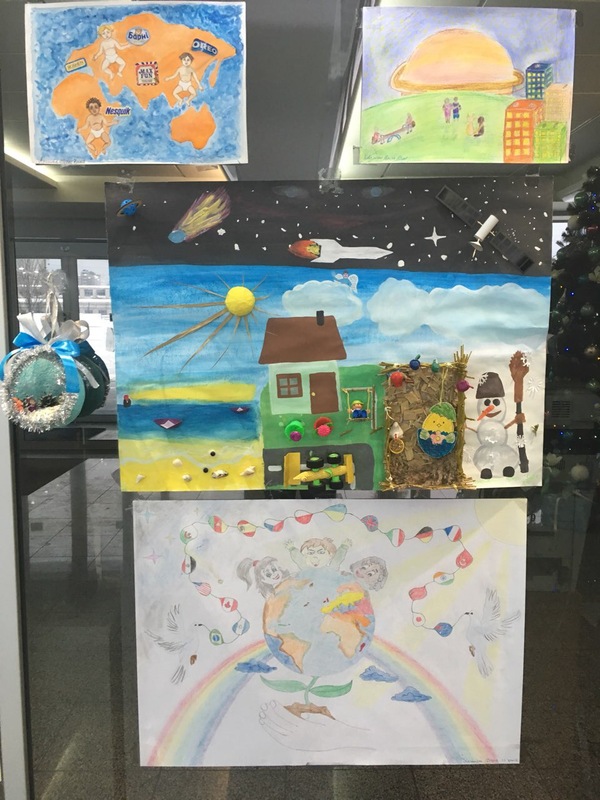 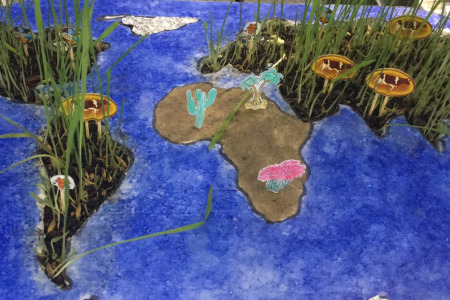 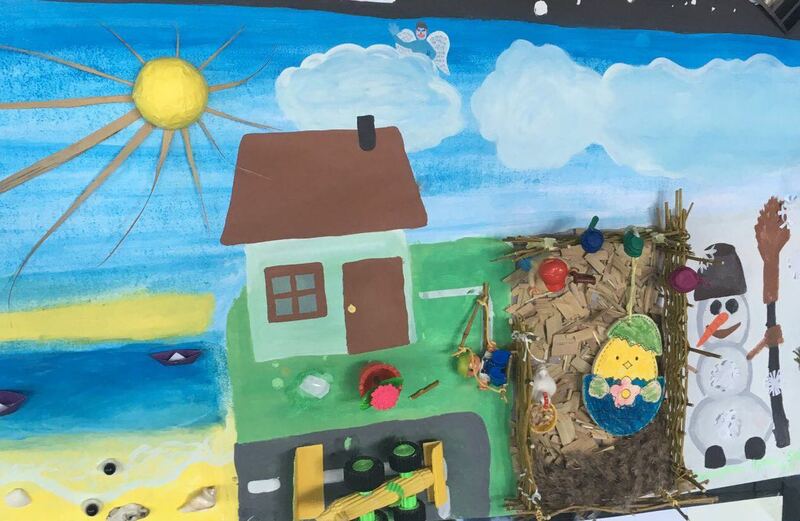 More than 150 colorful and amazing children's drawings were submitted this year to the traditional children's drawing contest of IMMER Group. 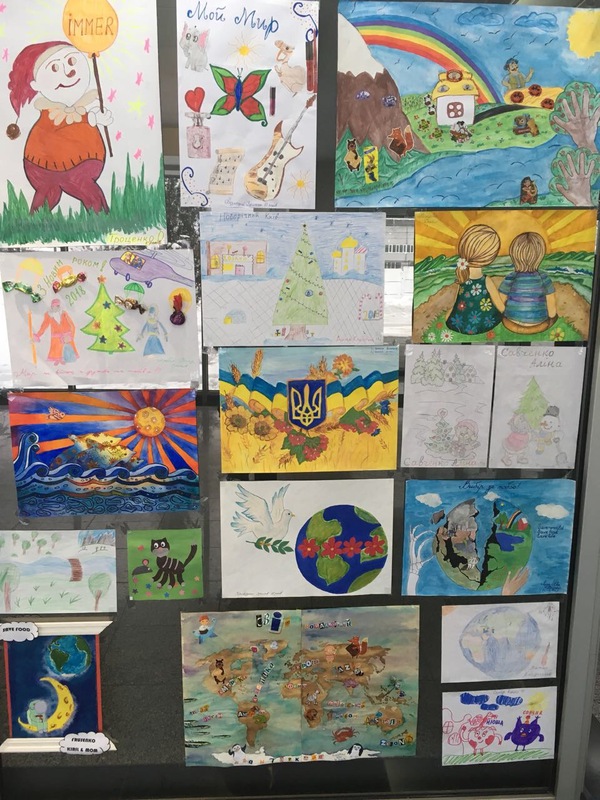 This year's topic is "Peace and me!". 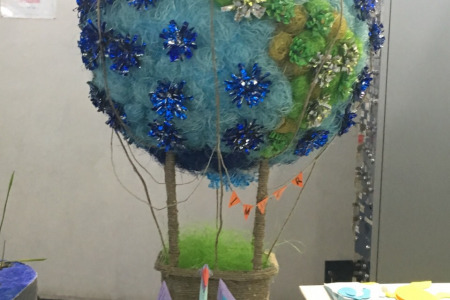 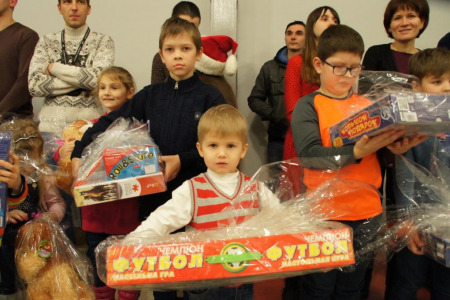 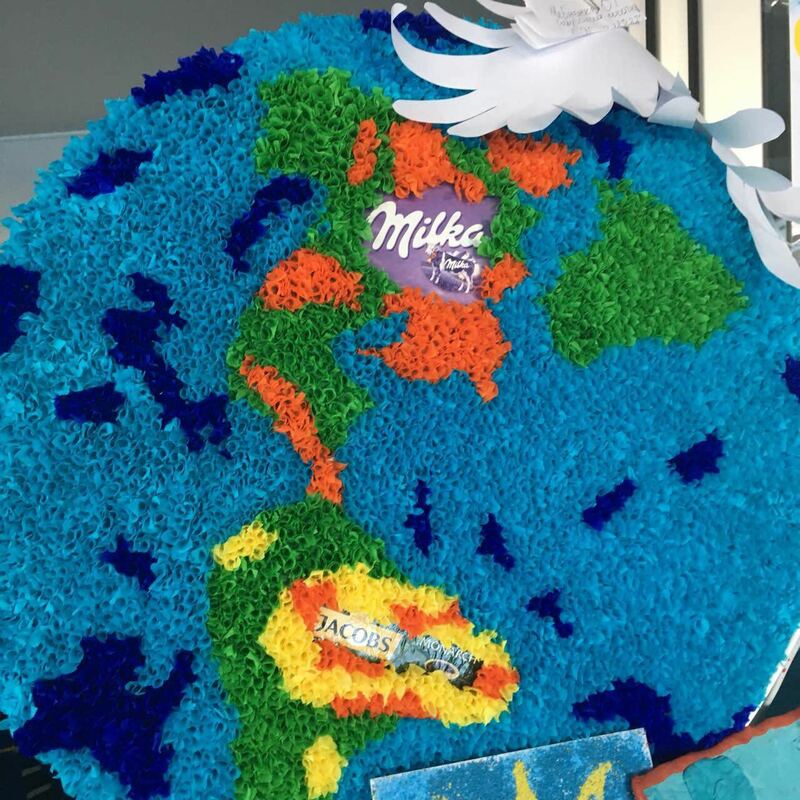 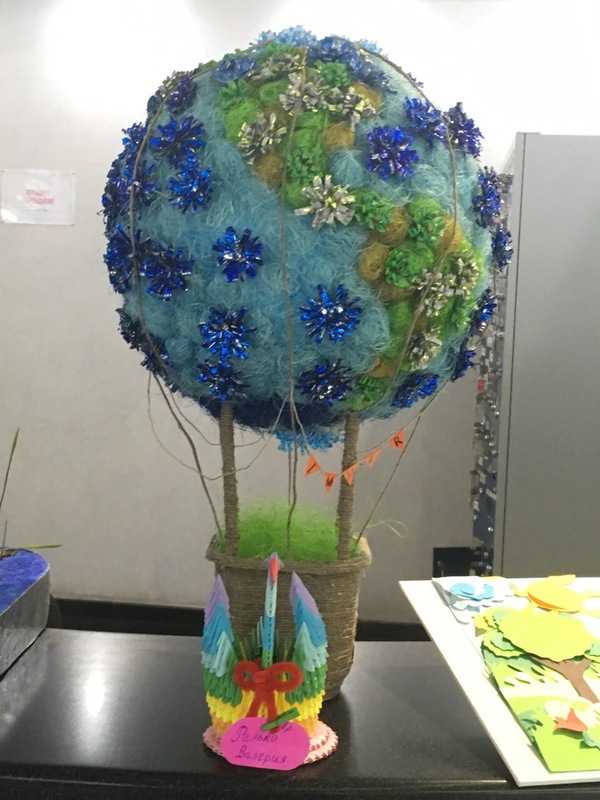 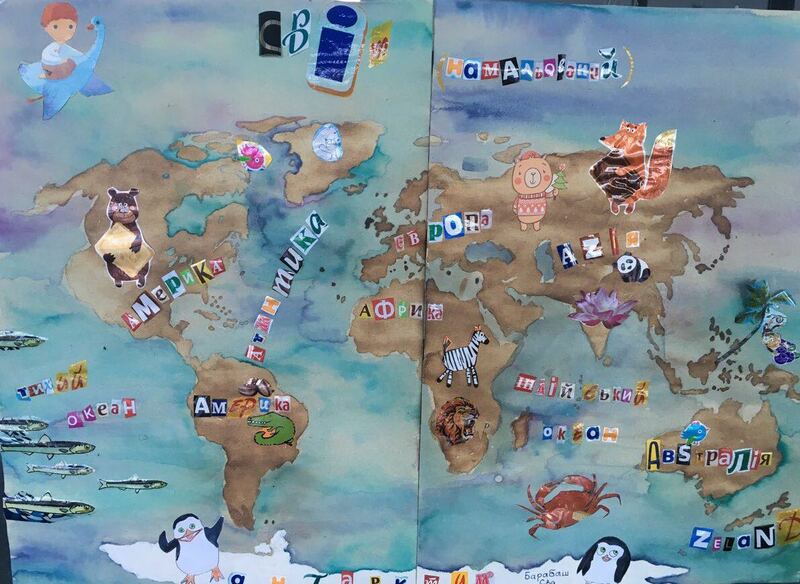 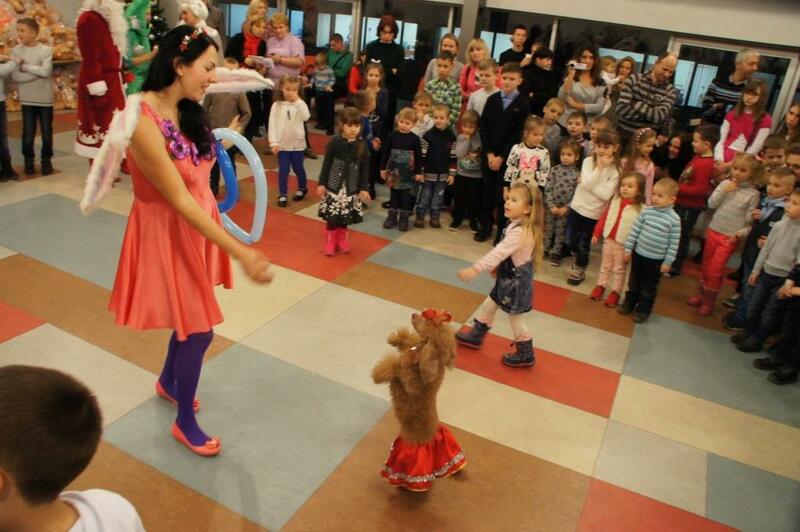 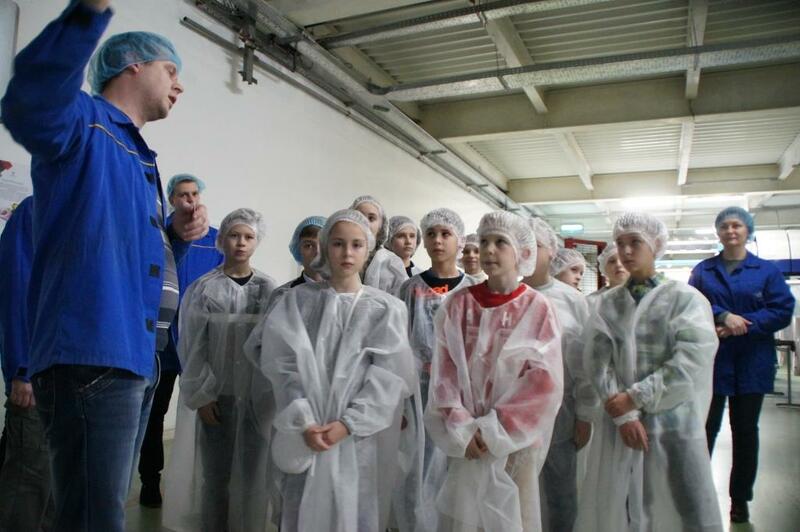 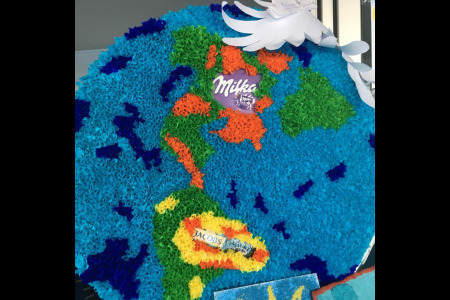 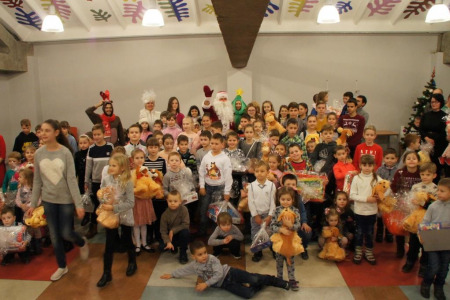 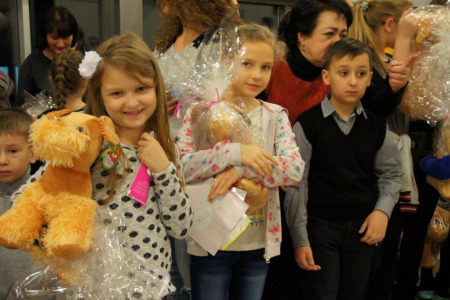 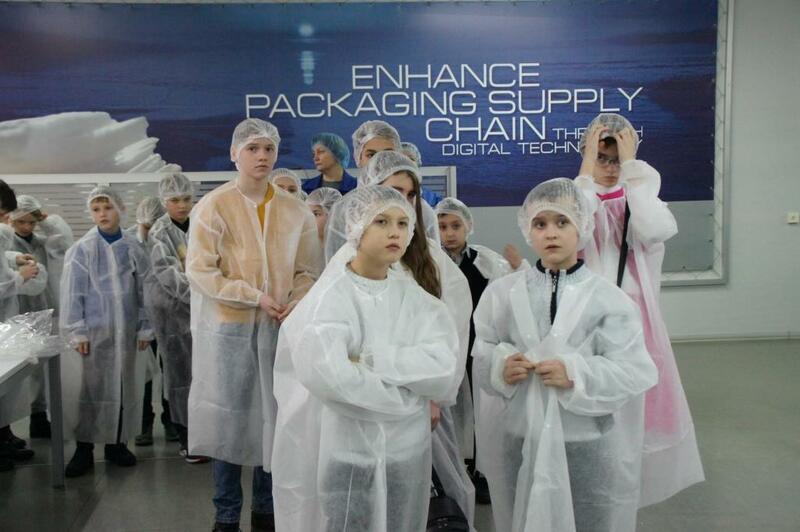 The contest involved the children of the IMMER Ukrplastic employees at the age of 4 to 14 years. 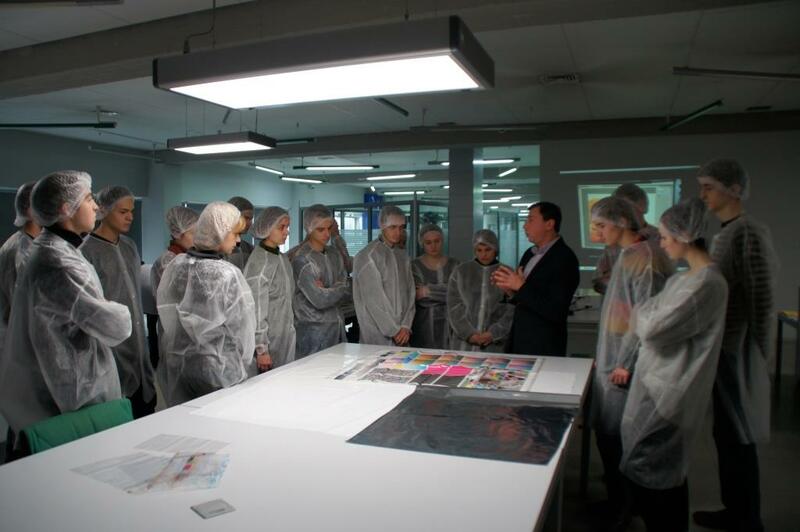 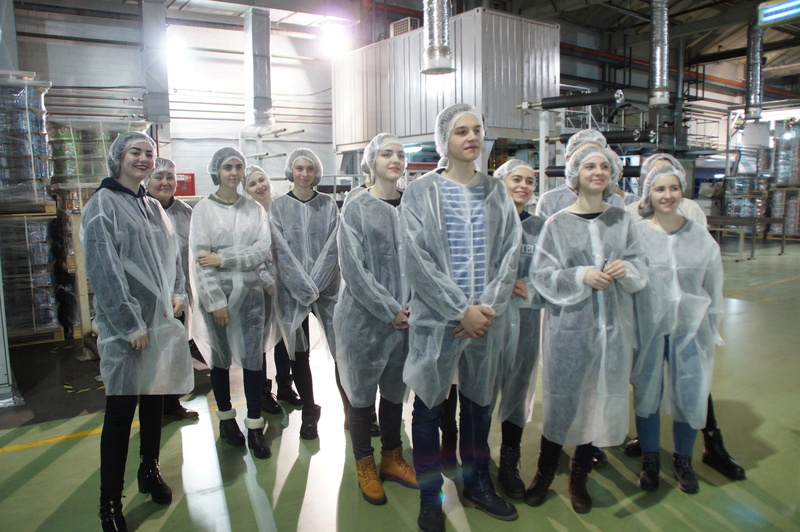 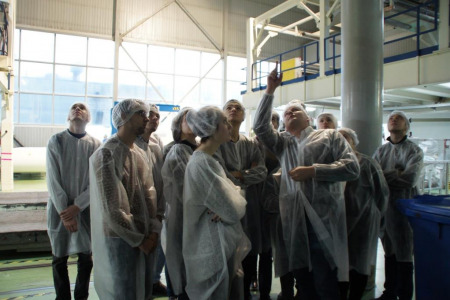 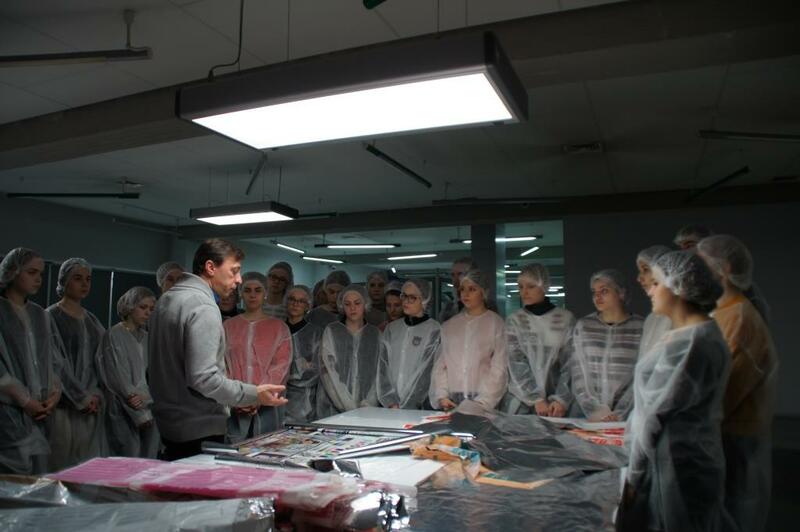 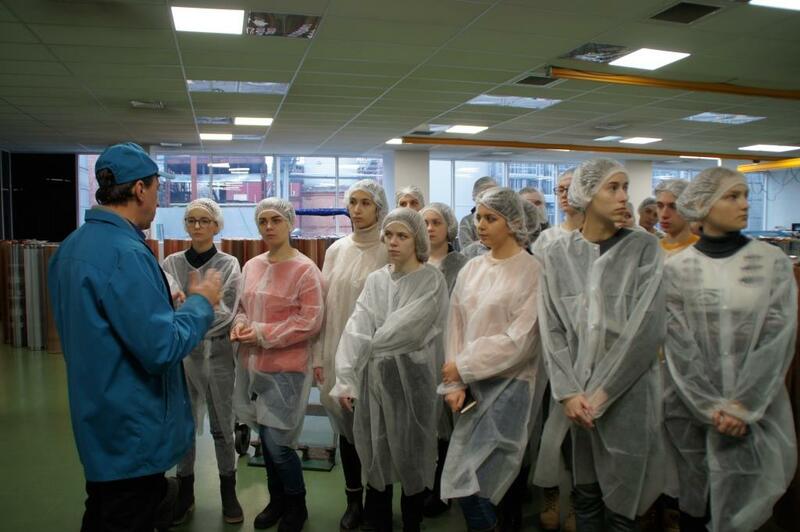 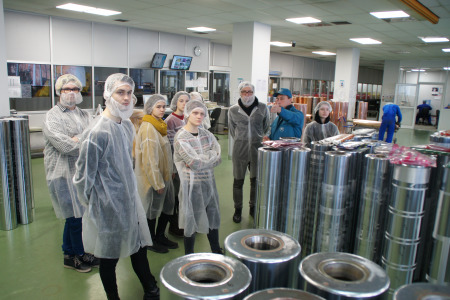 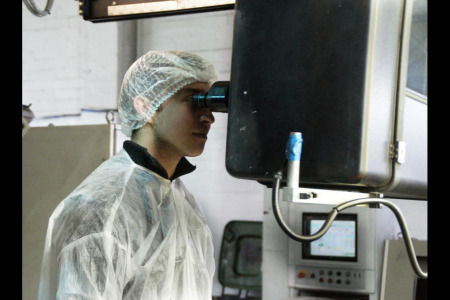 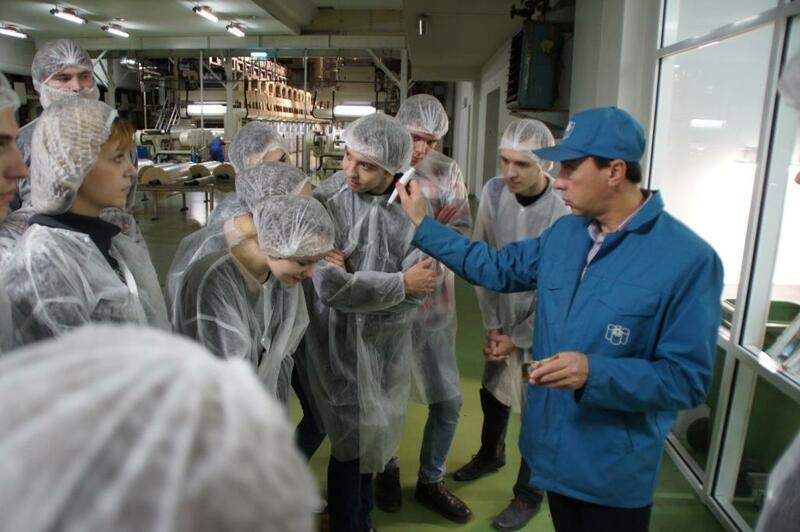 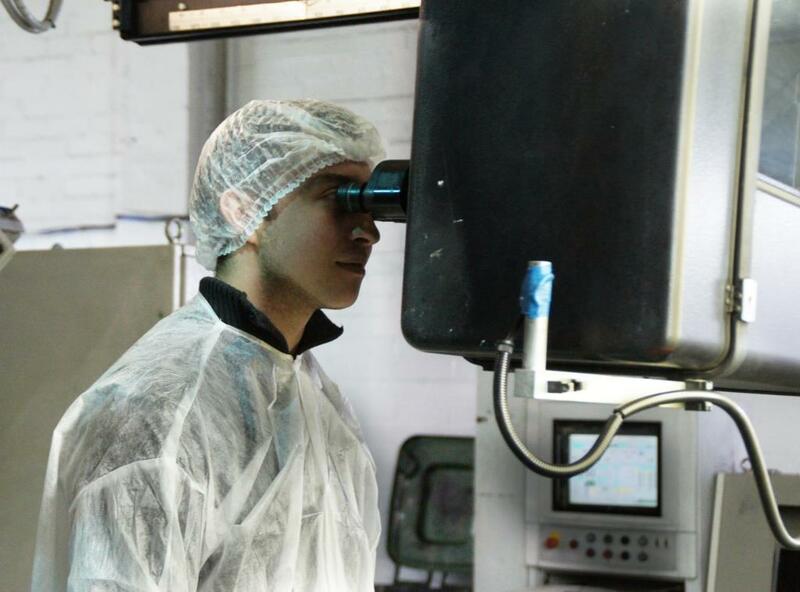 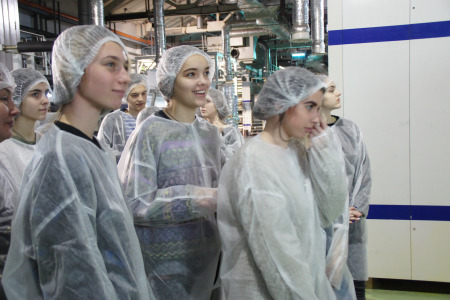 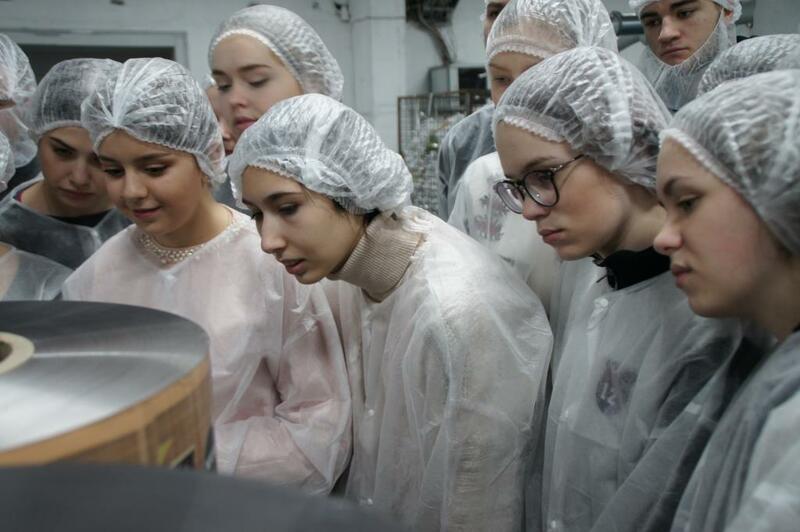 “A modern designer is not only a creative person, but also a technologist” – was confirmed by the students of the Faculty of Design and Advertising of KNUCA on Friday, December 15, during their educational excursion to IMMER Ukrplastic, the largest manufacturer for production of flexible packaging. 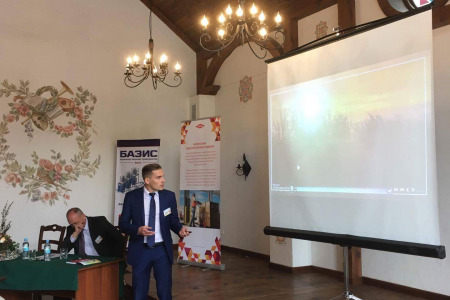 The new Presidium members of the Association "Ukrainian Club of Agrarian Business" had been elected at the General Meeting on December 12. 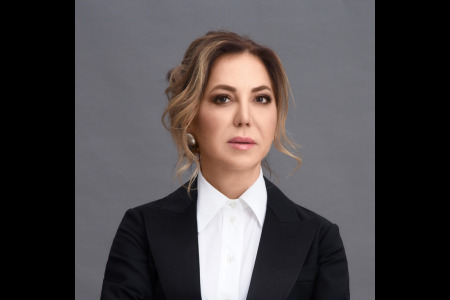 The elected Presidium consists of 12 TOP managers of leading agro-industrial companies in Ukraine, including IMMER Group president Irina Mirochnik. 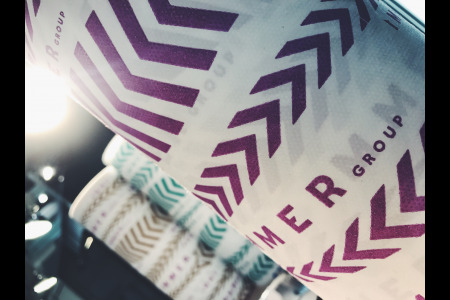 The international group of companies IMMER Group, a leading producer of flexible packaging materials, has become a fully-fledged member of the UN Global Compact Initiative. The President of IMMER Group Irina Miroshnik took part in the "Global Manufacturing Conference" organized by the International Finance Corporation, a member of the World Bank Group, and shared its experience of entering new markets as a way to overcome the crisis. 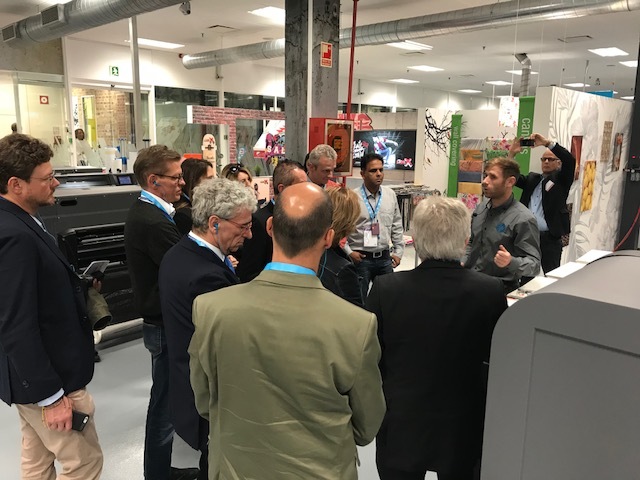 IMMER Digital Production Director Davids Graveris took part in the "Packaging and Decorative Gravure 2017" conference organized by the European Rotogravure Association (E.R.A.). 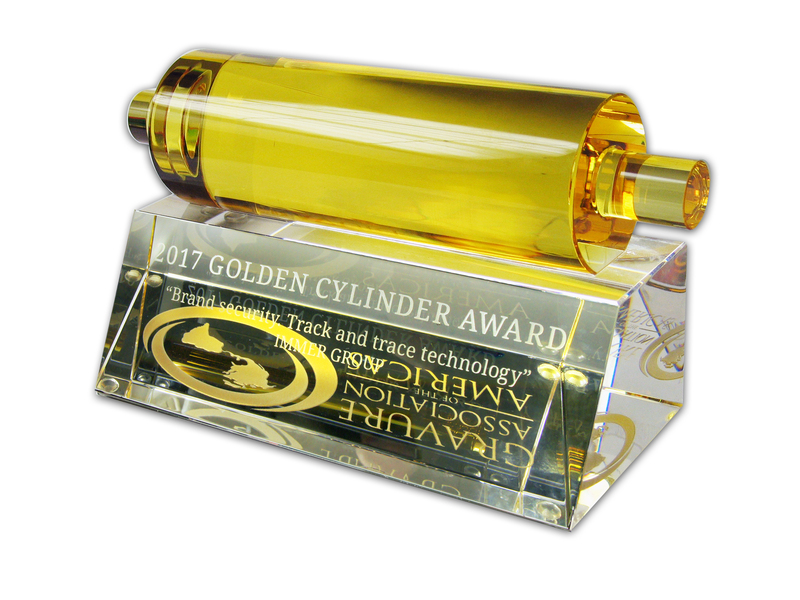 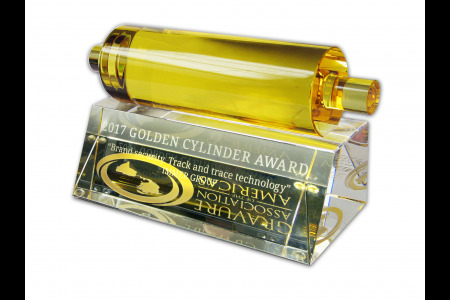 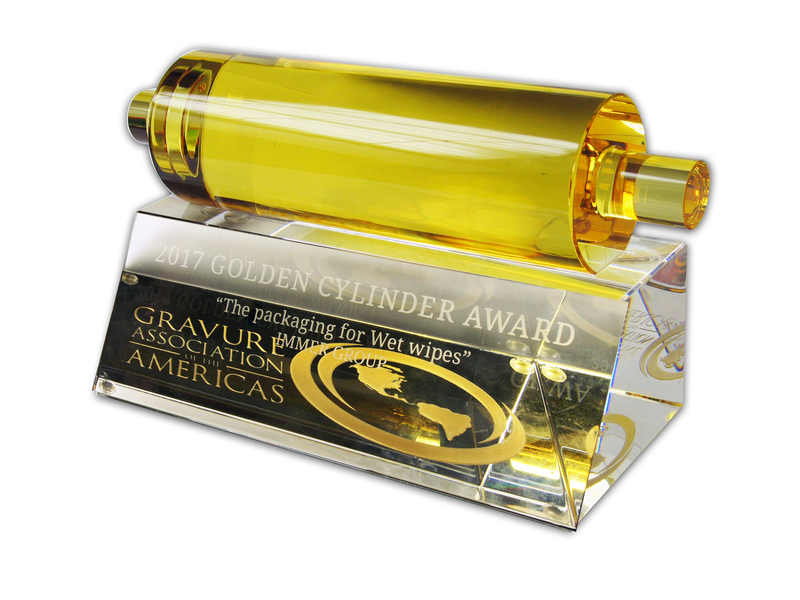 IMMER Ukrplastic (IMMER Group) has received the most prestigious professional award of the printing industry "Golden Cylinder Awards 2017". 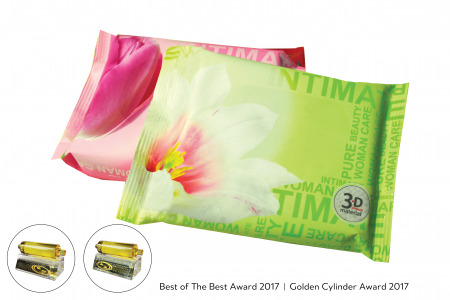 The awards were received in two nominations and, according with the decision of the jury, the company has been recognized as the Best of the Best Packaging for the sample packing for wet wipes. 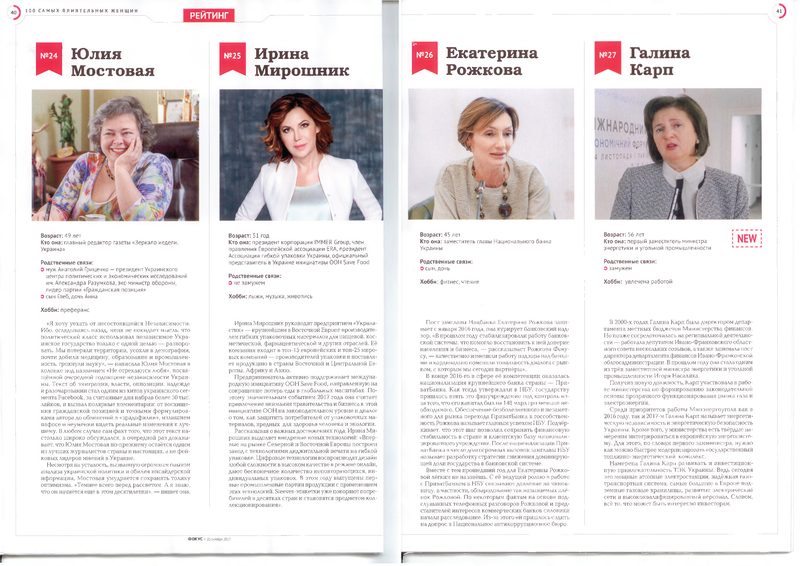 Irina Mirochnik, president of IMMER Group, a member of the Board of the European Rotogravure Association (ERA), a member of the EAFA/FPE Sustainability Committee and an official representative of the UN SAVE FOOD Initiative in Ukraine, is taking the 25th place in the rating of the 100 Most Influential Women of Ukraine from the Focus Magazine. 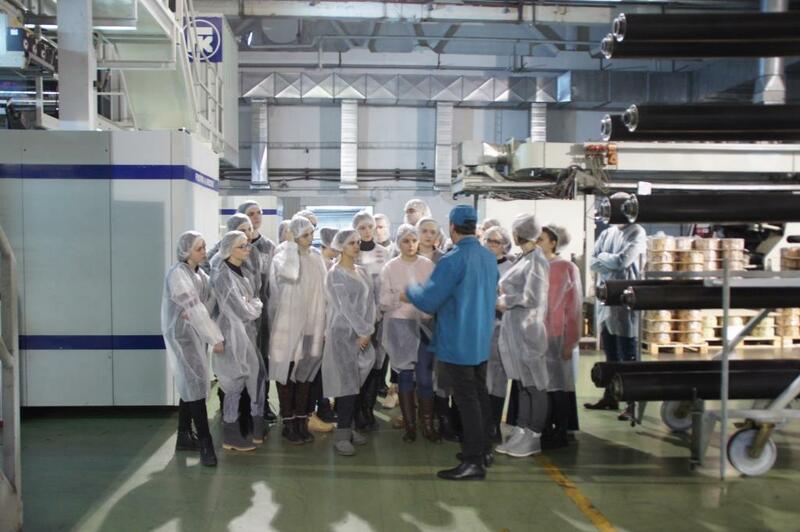 On October 12, 2017 Kiev hosted the ISFP 2017 Conference (Innovative Solutions in the Field of Flexible Packaging 2017). 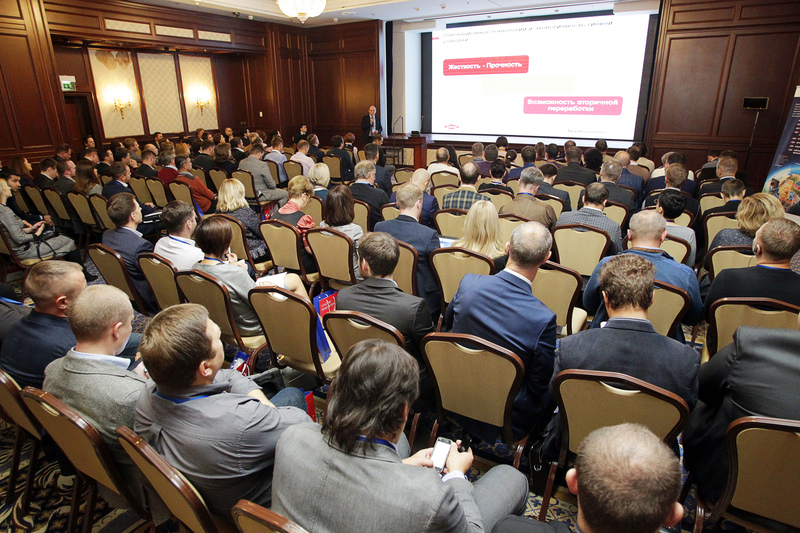 The IMMER Group President, Irina Mirochnik, made a welcoming speech before the participants of the conference. 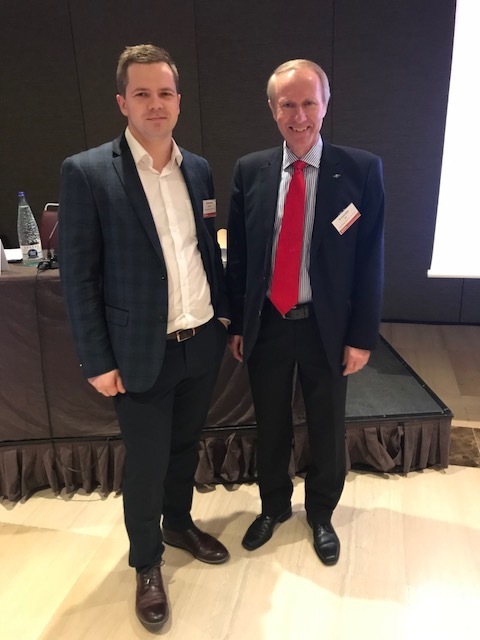 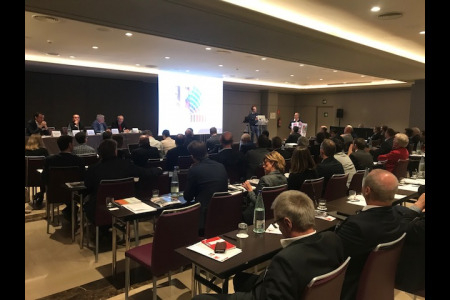 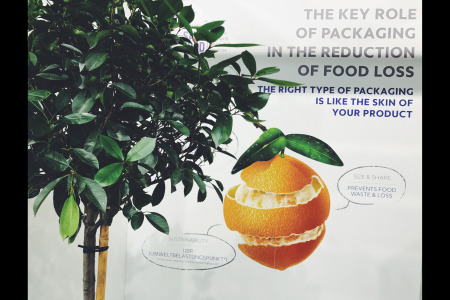 The trends in the international packaging market, as well as the role of flexible polymer packaging among alternative packaging materials have been discussed at the conference. 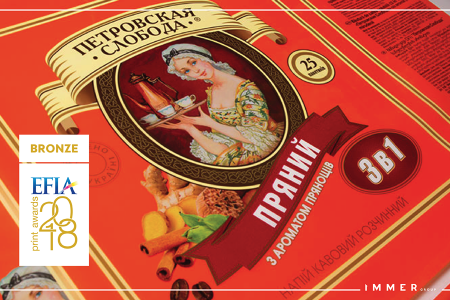 Participation at the industry conference "Save Food Technical Solutions"
An international conference "Save Food Technical solutions" was held on September 20-21 in Lviv. 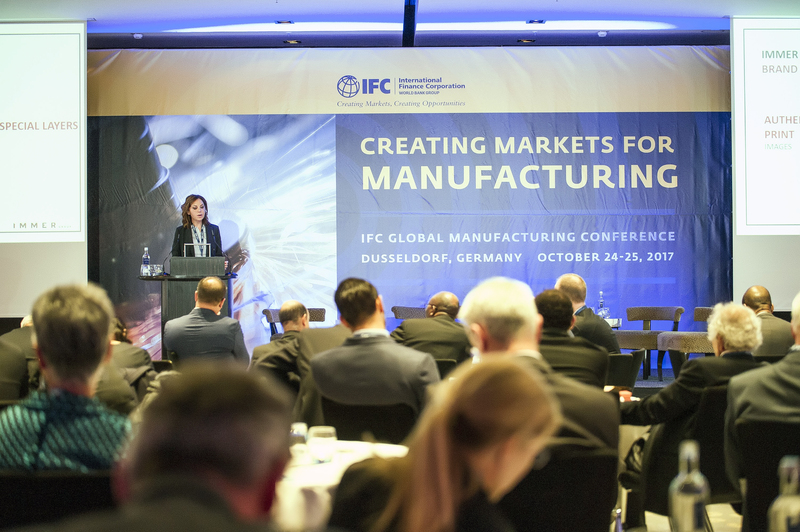 More than 100 participants from 5 countries gathered to share new effective technologies in the packaging industry to prevent food loss. 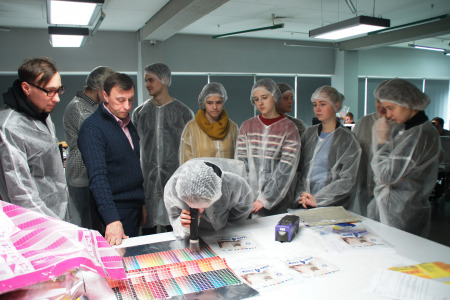 The conference was organized by the Packaging Club of Ukraine, Information and Analytical Centre "Upakovka" and the Ukrainian Printing Academy. 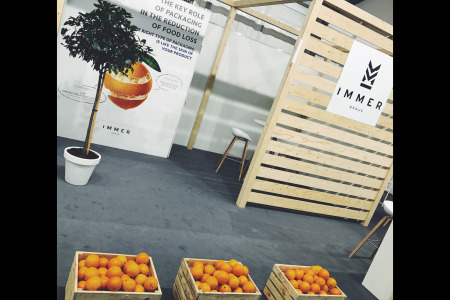 IMMER Group has become the general partner of the conference for the eleventh time. 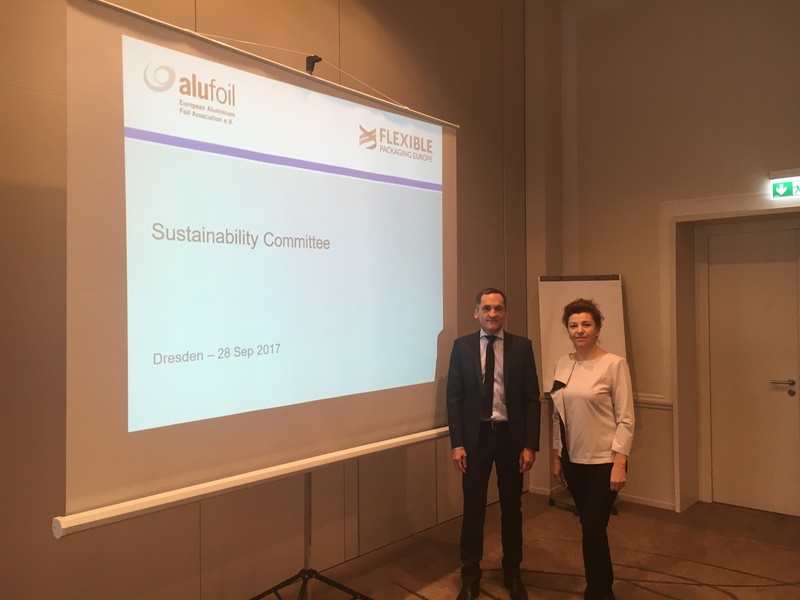 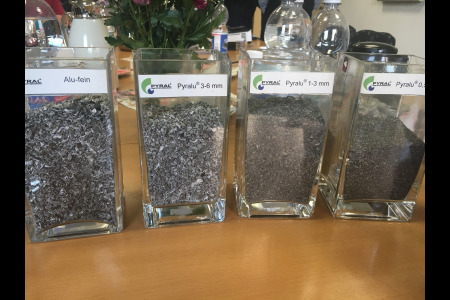 Ph.d. Nataliya Kulyk IMMER Group’s head of R&R department participated in EAFA/FPE Sustainability Committee meeting and visited an environmentally friendly and resource-conserving pyrolysis plant “PYRAL AG” in Freiberg. 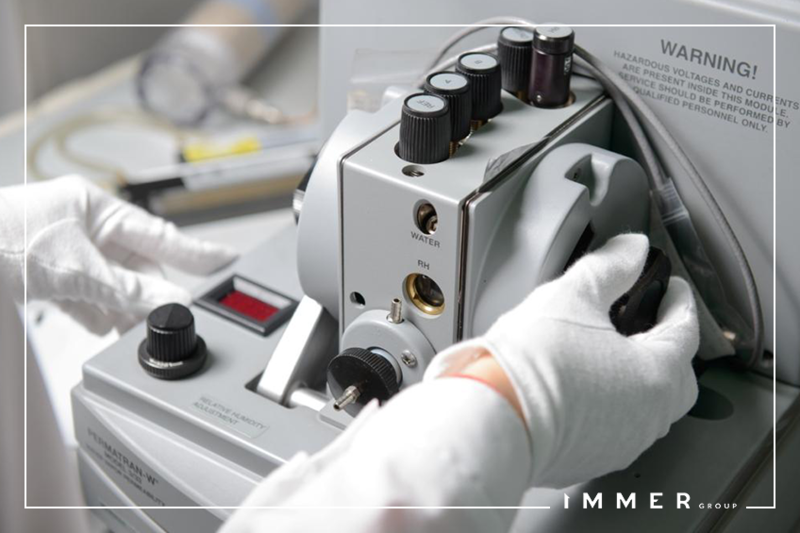 The IMMER Ukrplastic production has successfully passed the FDA / IMS recertification audit (U.S. Food and Drug Administration). 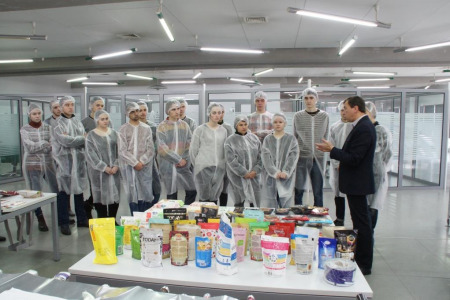 During the audit, Harold Wainess & Associates, the auditor, checked the compliance of the enterprise with GMP (Good Manufacturing Practice) requirements, as well as the chemical, microbiological characteristics of the products for quality and food safety. 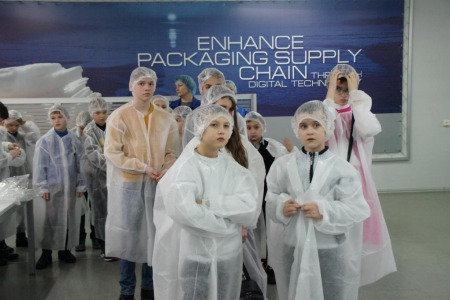 As a result of the annual all-Ukrainian project "Ecology, Environment and Nature Management in Ukraine", UKRPLASTIC has been recognized as the best company in terms of introducing environmentally friendly, energy-efficient and resource-saving technologies. 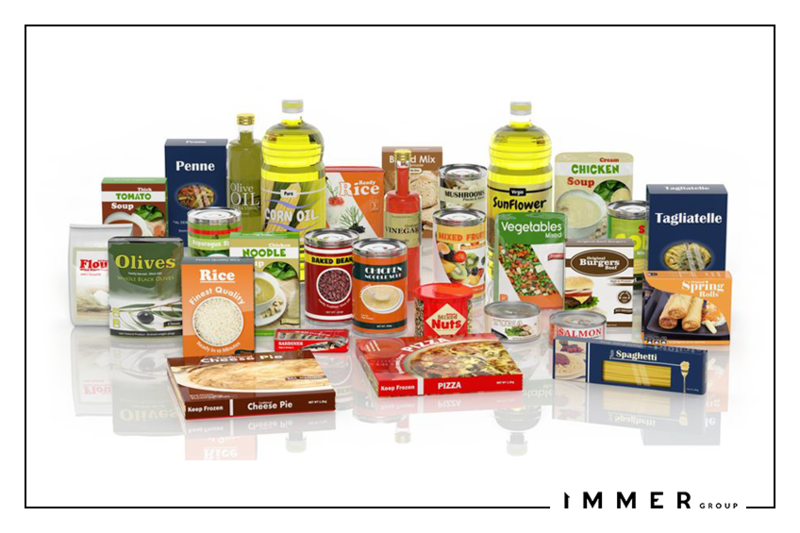 Our very own design studio carries out ready-made design solutions from an idea to a 3D visualization of the package layout. 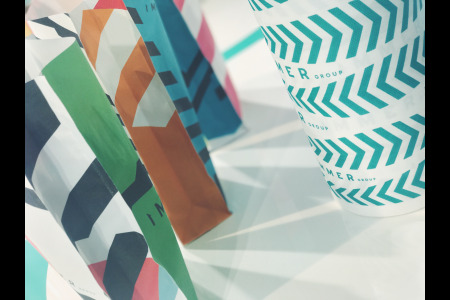 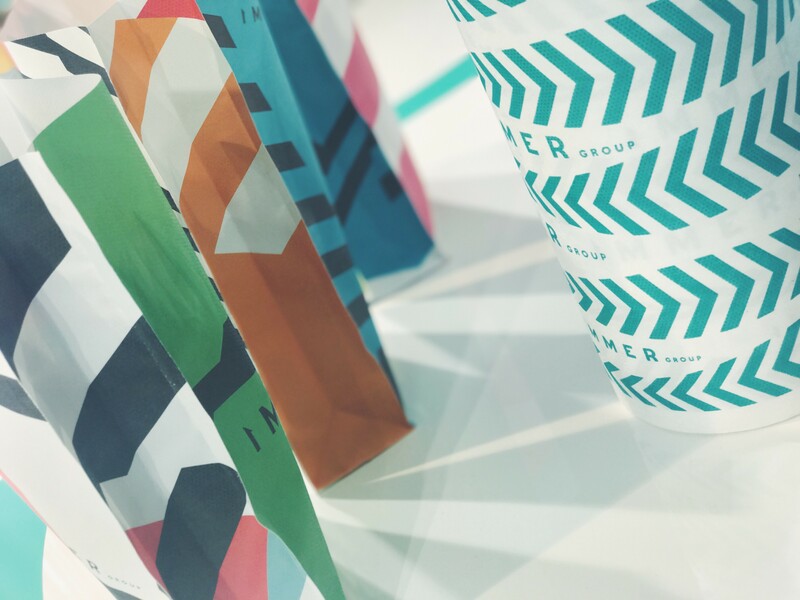 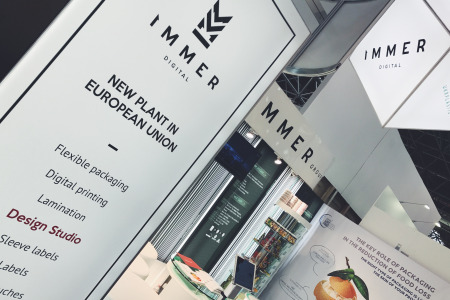 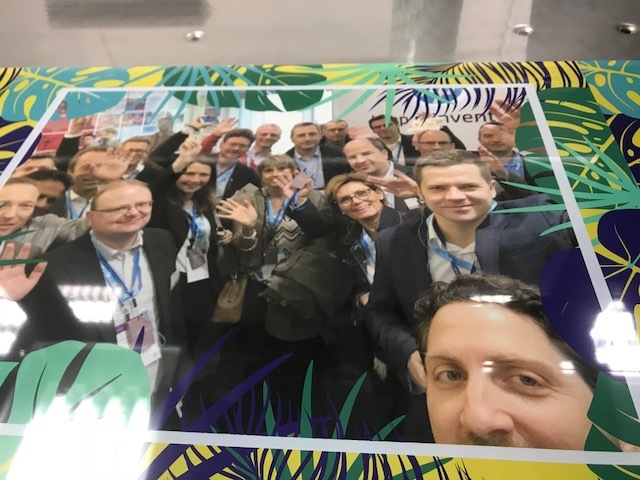 The launch of IMMER Digital – unique flexible packaging material factory in Northern Europe, equipped with the latest digital printing technologies. 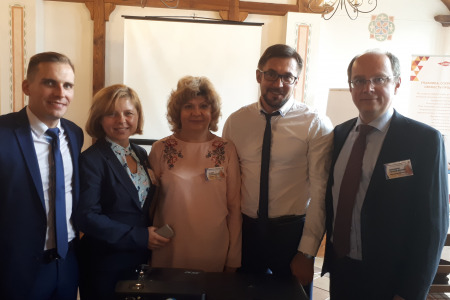 Following the results of the annual all-Ukrainian project "Ecology, Environment and Environmental Management in Ukraine", UKRPLASTIC was recognized as the best company in terms of introducing environmentally friendly, energy-efficient and resource-saving technologies. International rating agency Credo Line has confirmed a positive credit rating and level of international business reliability for the group of companies UKRPLASTIC. 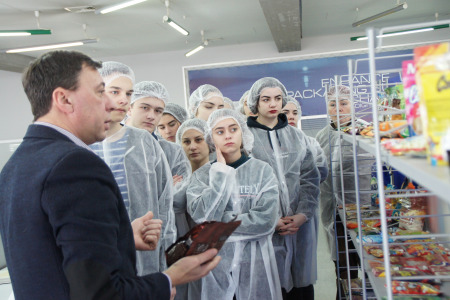 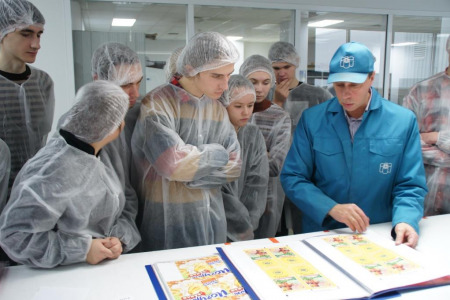 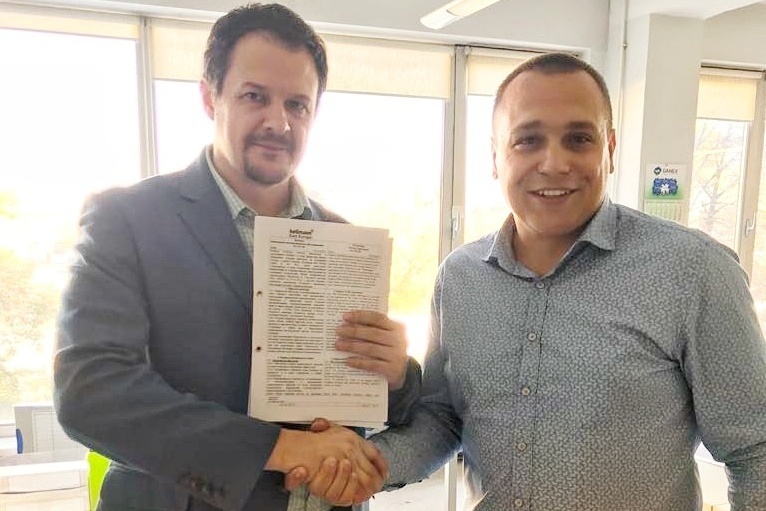 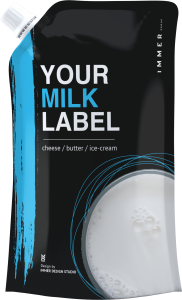 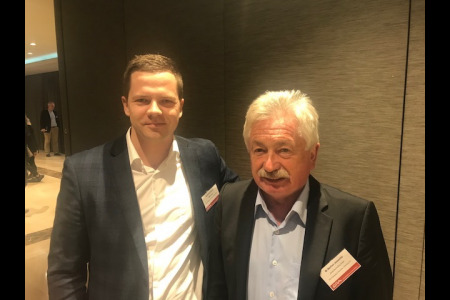 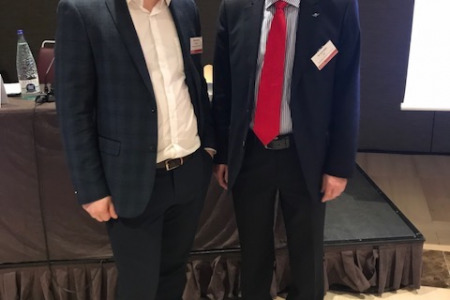 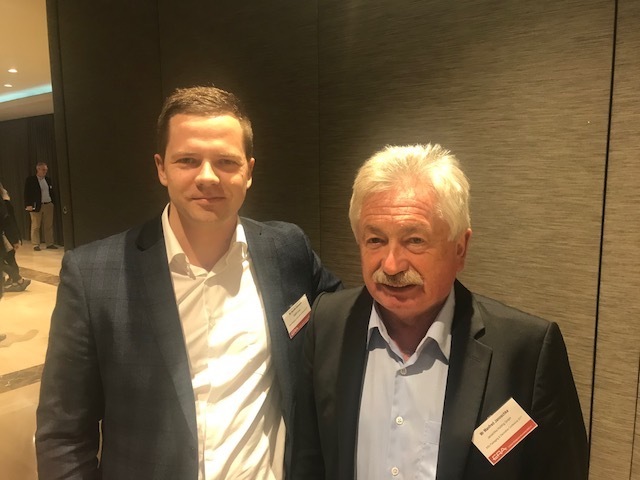 The UKRPLASTIC company has joined forces with the Union of dairy enterprises in Ukraine, holding a conference on the innovative flexible packaging for dairy products. 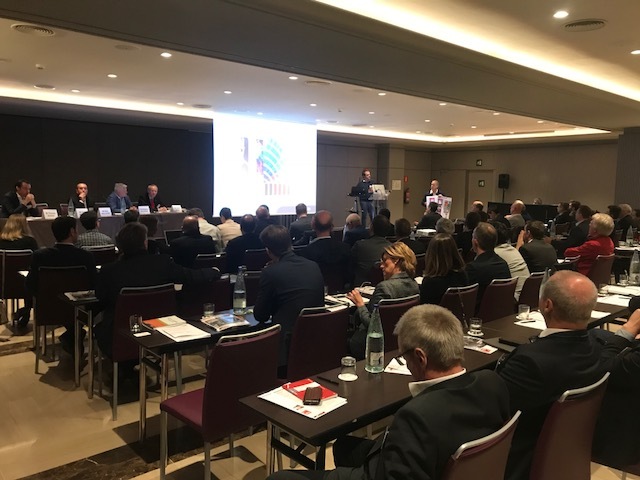 It was attended by more than 50 domestic manufacturers of the industry, media, public, professional and governmental organizations. 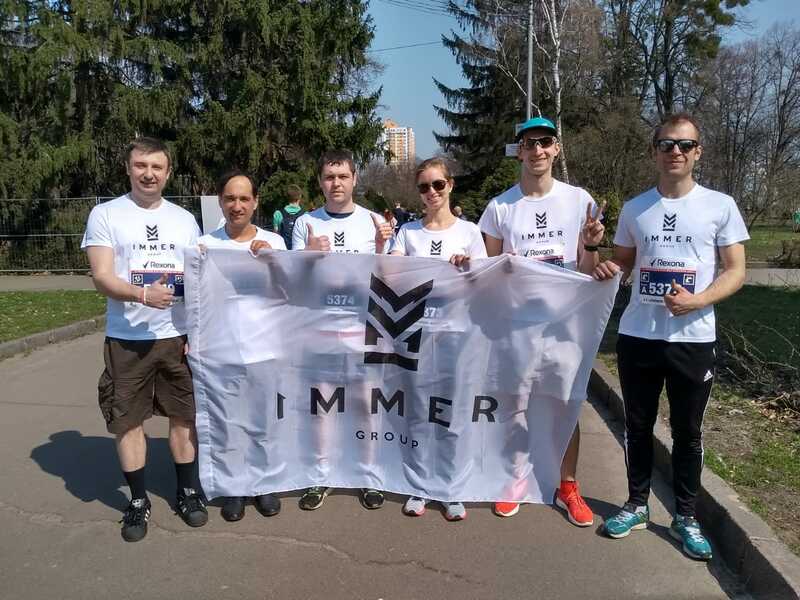 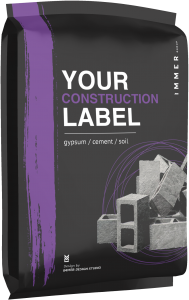 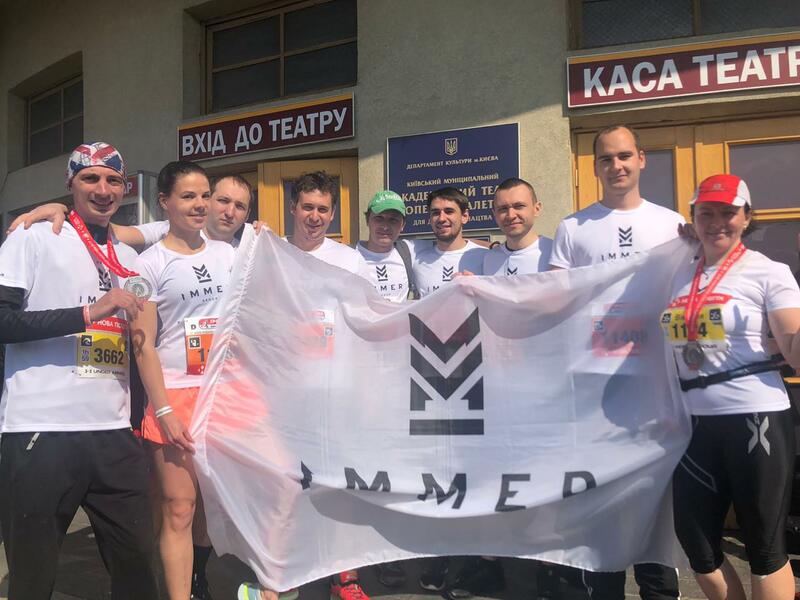 Foundation of the IMMER Group – an international group of companies, which includes IMMER Ukrplastic, IMMER Digital and IMMER Design Studio. 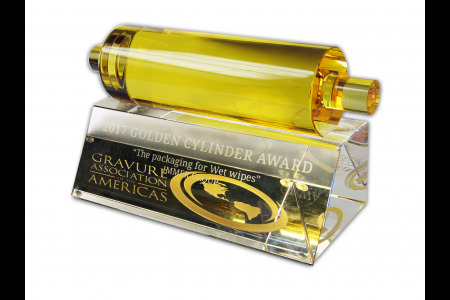 The World Packaging Organization (WPO) has named the winners of the “World Star Awards 2016”. The jury selected UKRPLASTIC’s packaging for coffee Nescafe «Espresso Gold» Barista Style. 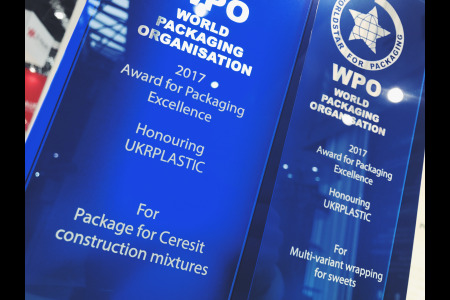 According to the results of the competition “Best Exporter of the Year”, the company UKRPLASTIC has taken first place in its industry. 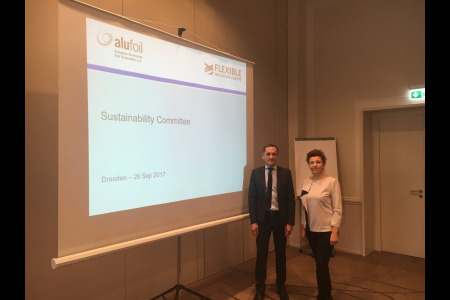 On August 6, 2015 the Ukrainian Flexible Packaging Association hold the first general meeting, which was attended by the heads of the leading domestic companies in the market of flexible packaging, including UKRPLASTIC, Nargus, Itak, Lenbud, ALEF inc, MonoPak, Sinergia-Group, Hask Flex, ZAO Ruta, SIRIUS EXTRUSION Ltd, BlitzPAK, Aris Pak, Ros Pak. 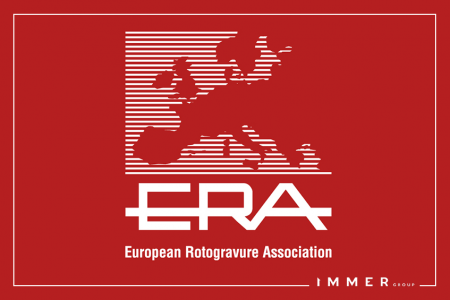 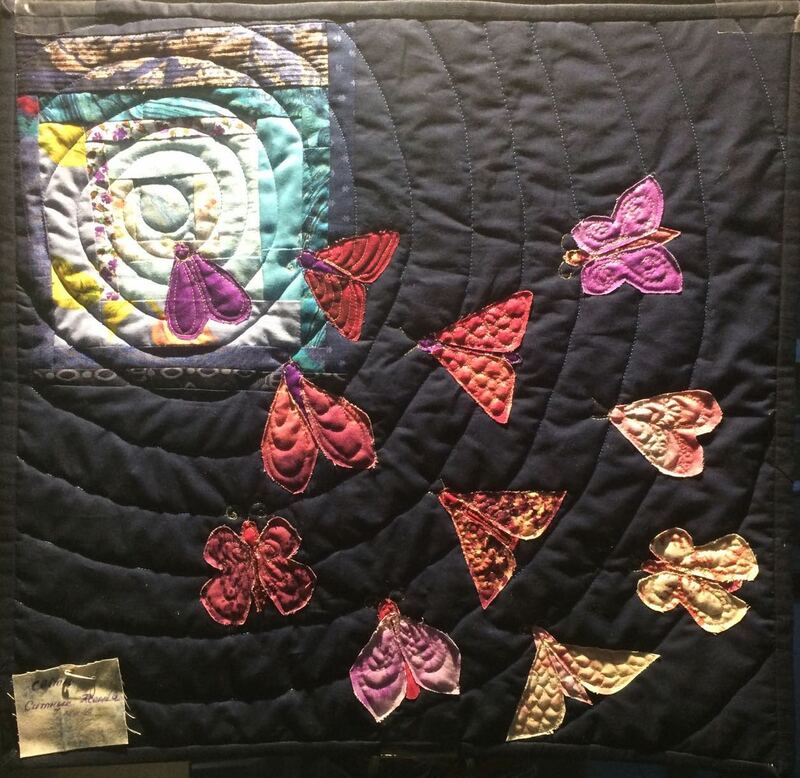 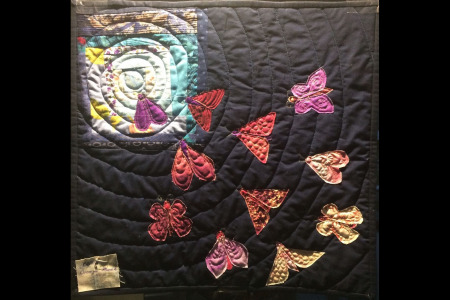 The European Industrial Association of Flexographic Printing (EFIA) named the winners of the 2015 Print Award. 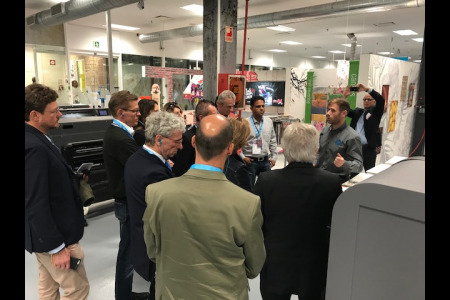 More than 500 European printing companies presented their samples to the independent jury. 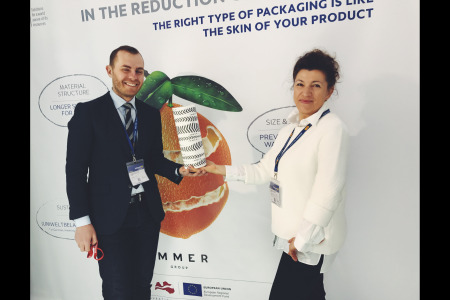 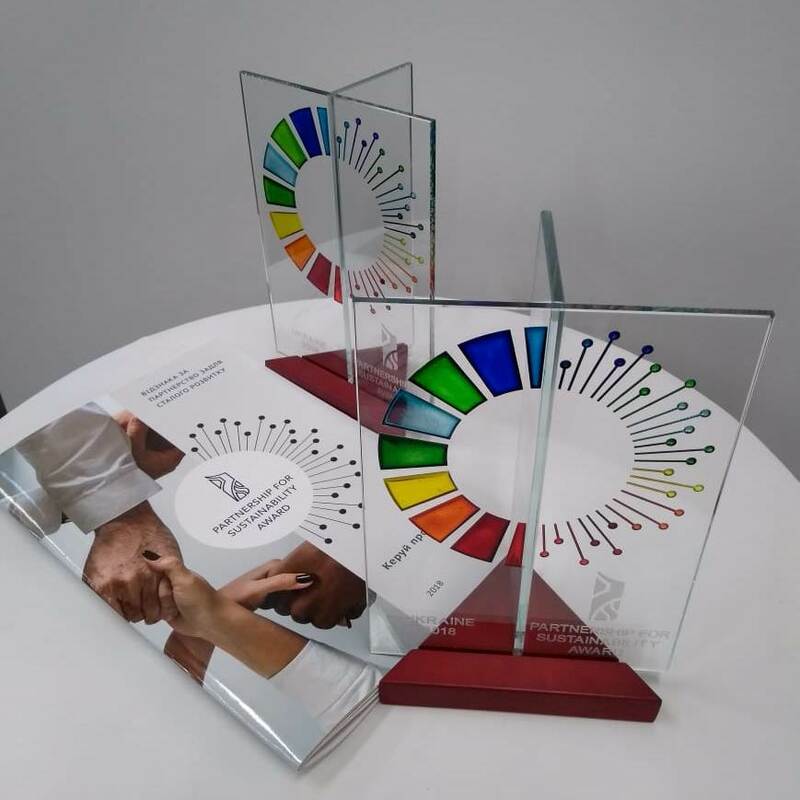 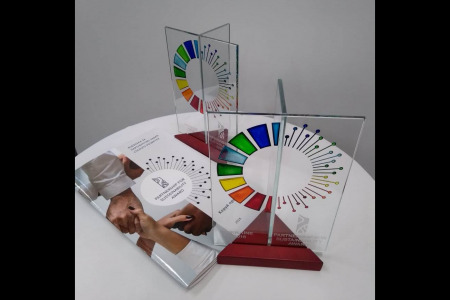 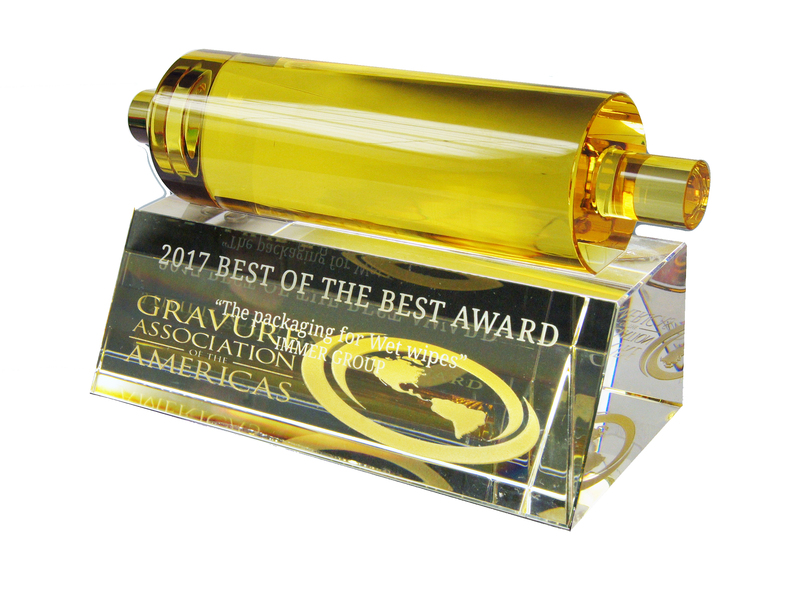 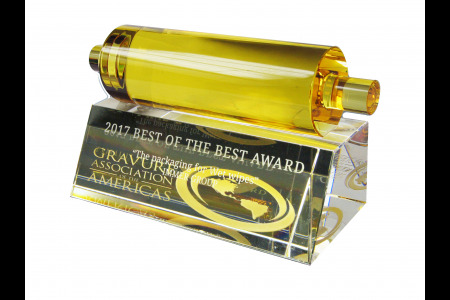 By the unanimous decision of the jury, UKRPLASTIC was awarded a gold award in the category "Printing on large-format material" and two silver awards. 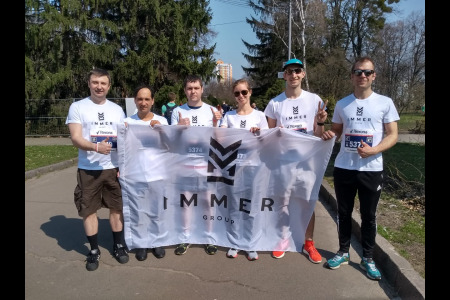 Euler Hermes Insurance company confirmed positive financial strength rating of PC UKRPLASTIC. 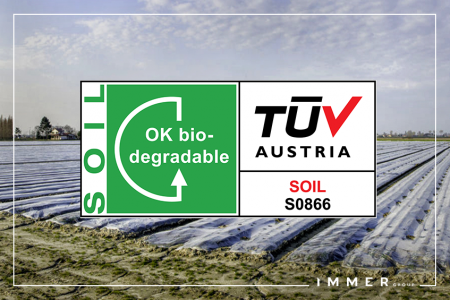 Positive rating level was upheld to the company, according to the results of analysis of its activity in the first decade of 2014. 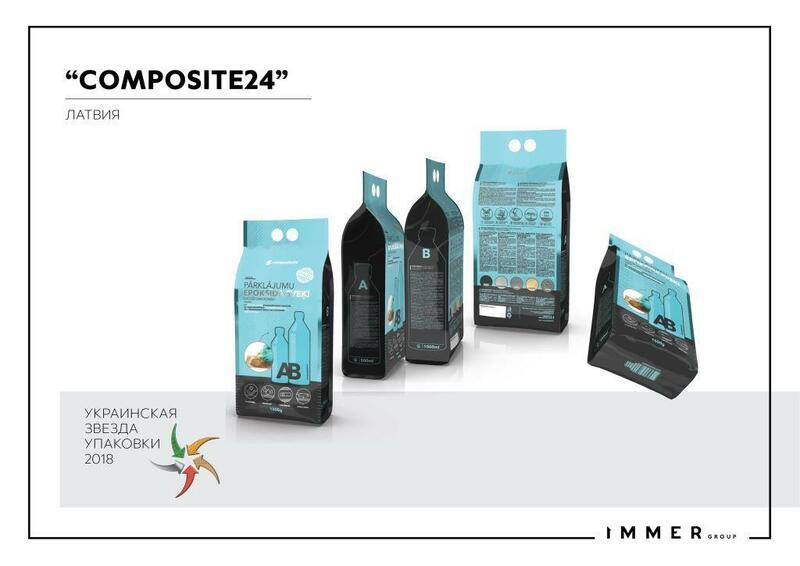 Based on the data provided by Plimsoll rating agency, UKRPLASTIC raised to 29th position in the rating of the largest global manufacturers of flexible packaging and took the 22nd place in business efficiency rating. 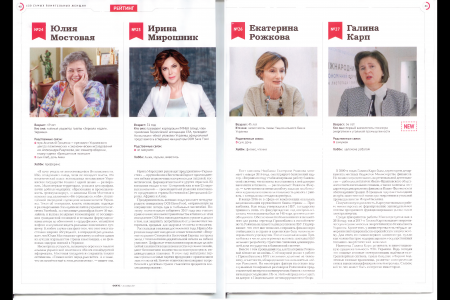 UKRPLASTIC received the World Star award following the results of the WPO international competition World Star 2013. 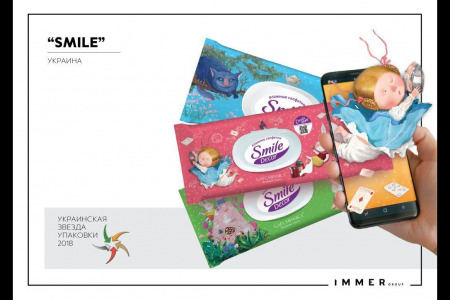 The high award of the World Star 2013 competition was awarded to UKRPLASTIC for the package sample created by the company's specialists for Dirol chewing gum.